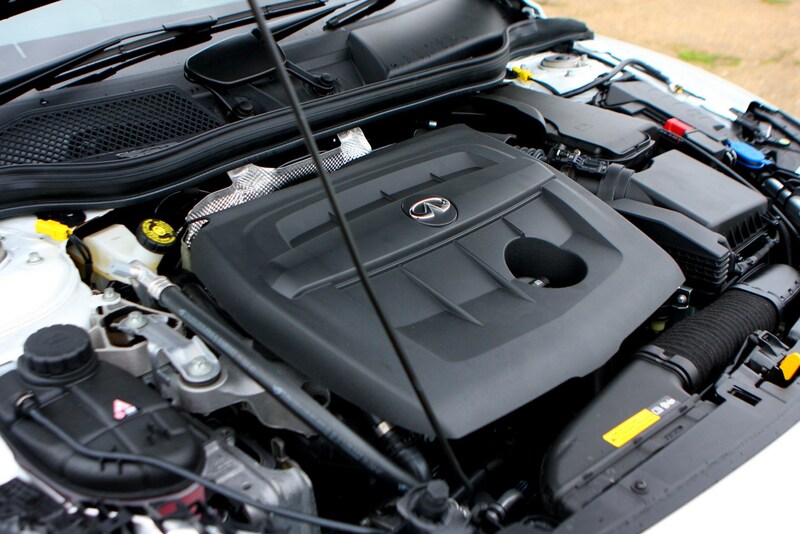 Insurance group: 12 - 26 How much is it to insure? 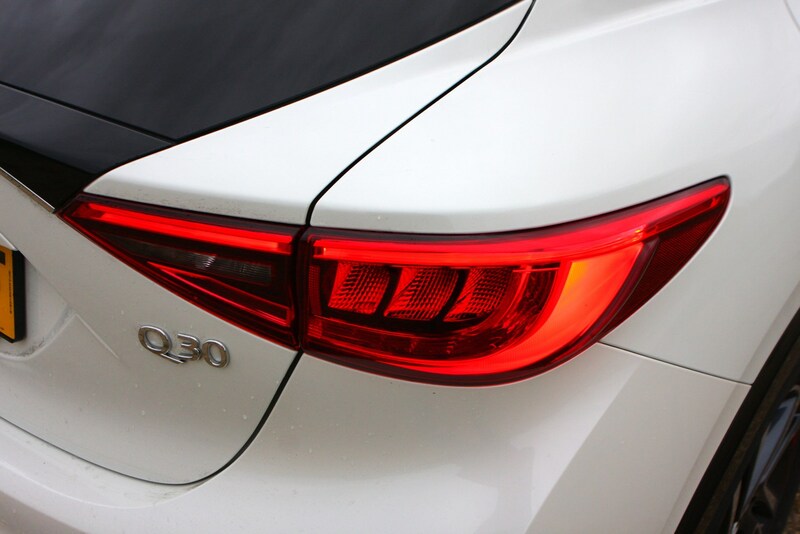 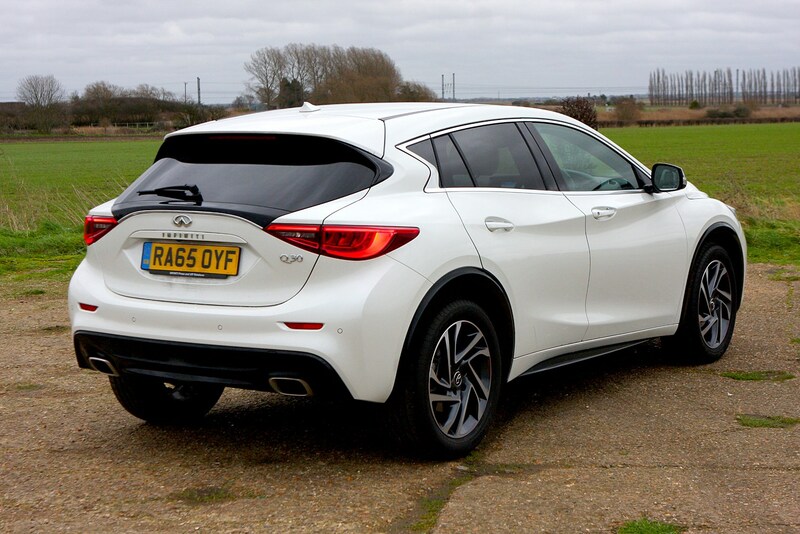 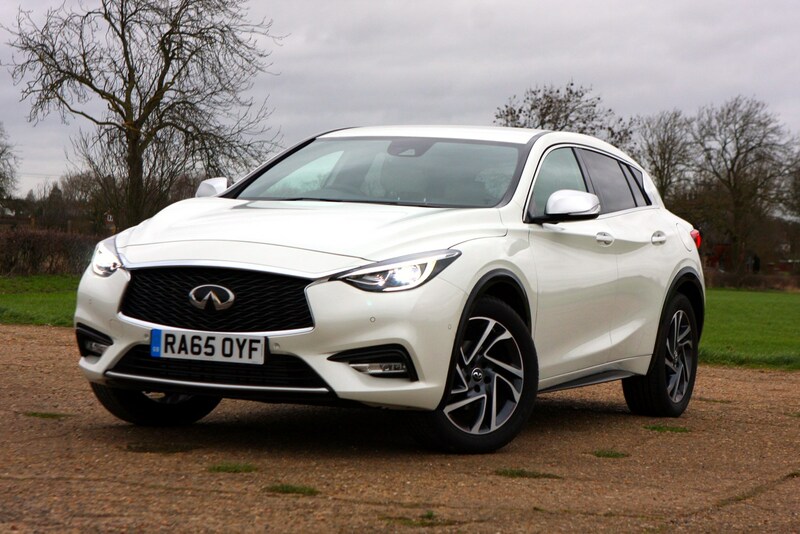 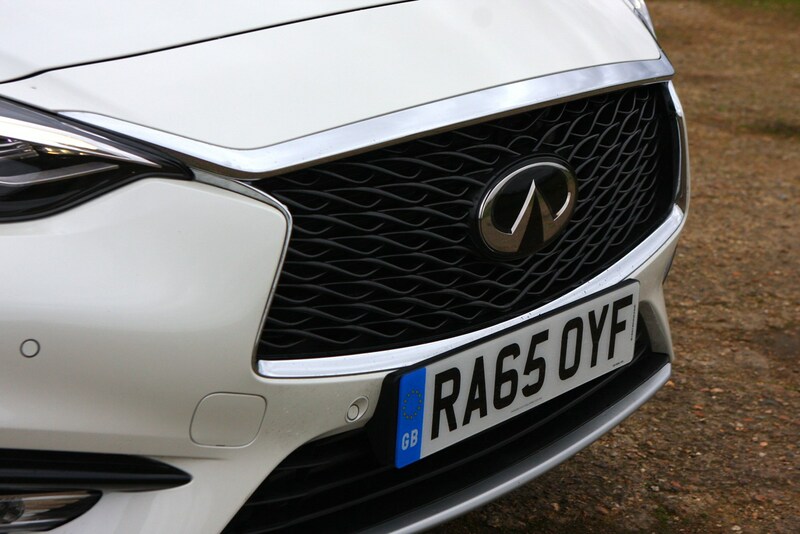 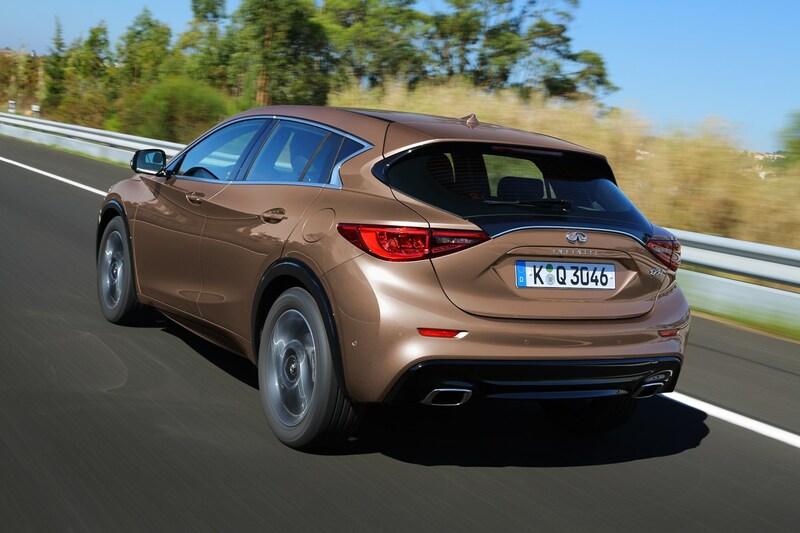 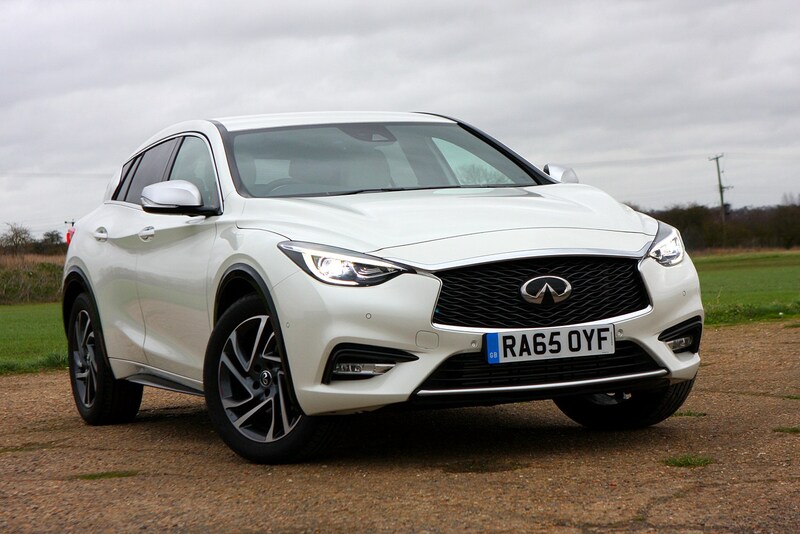 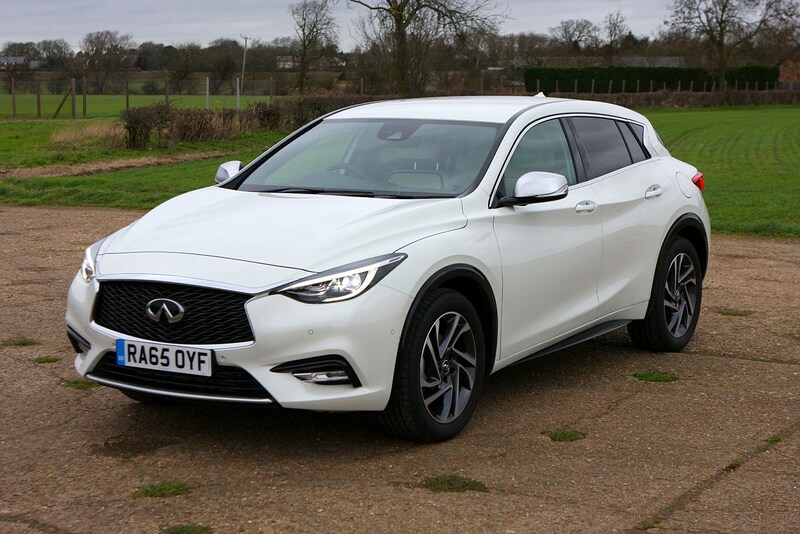 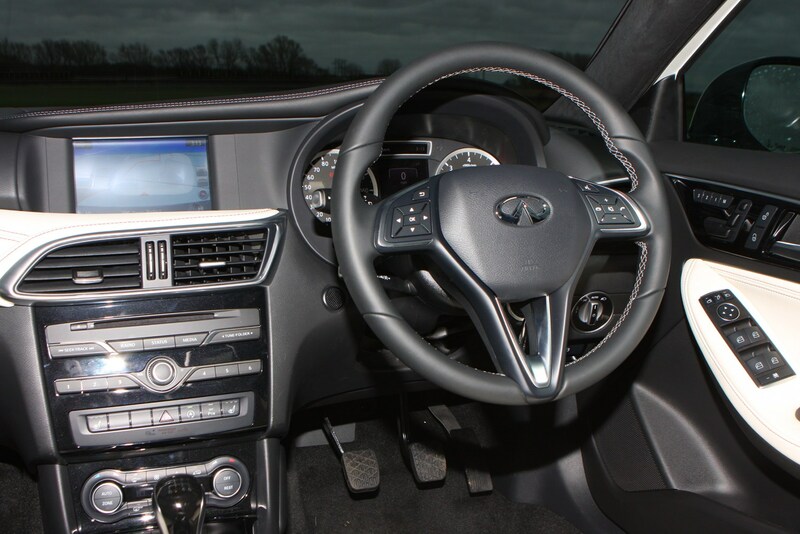 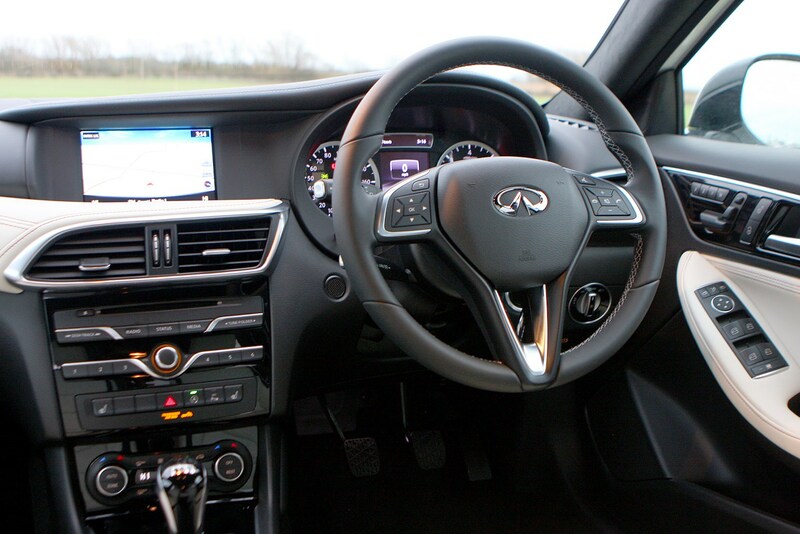 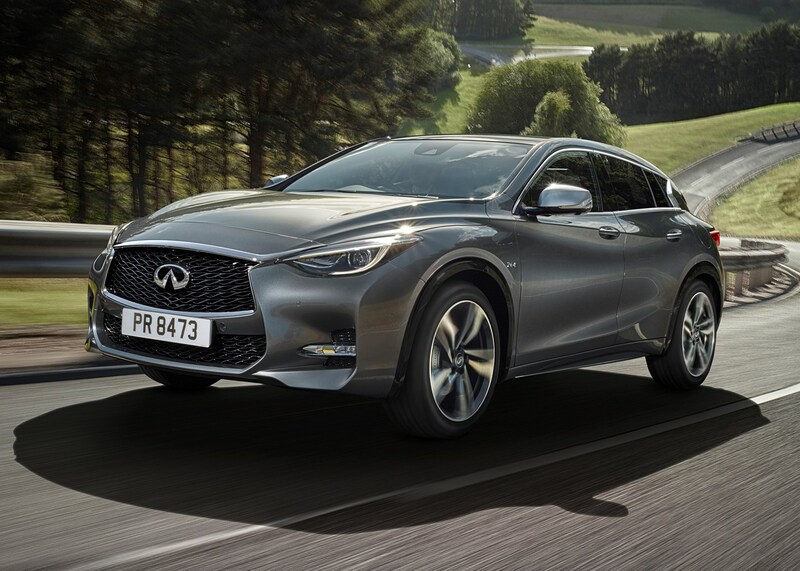 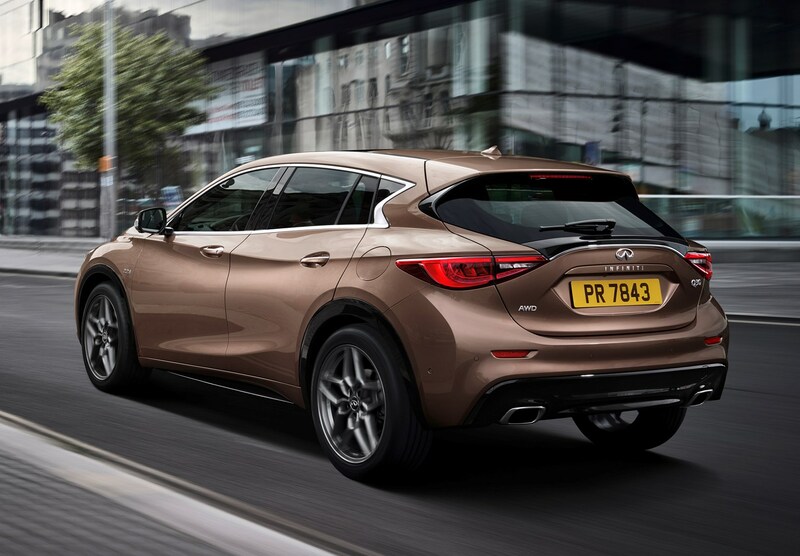 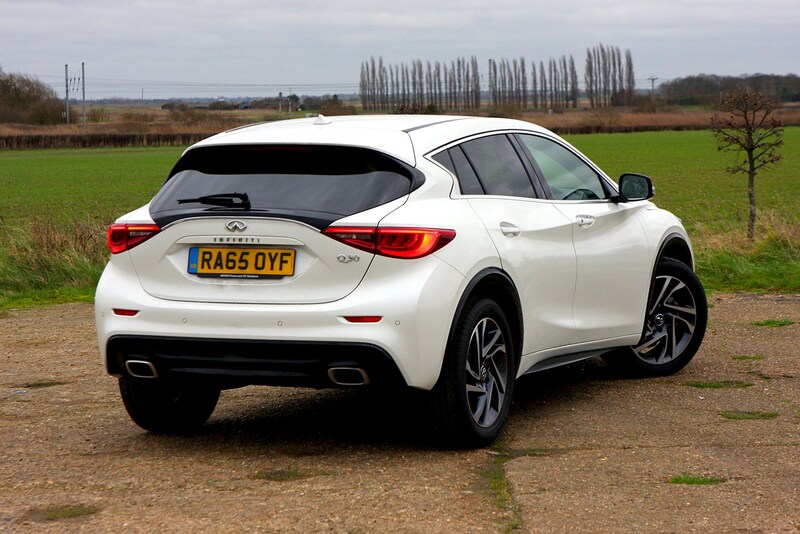 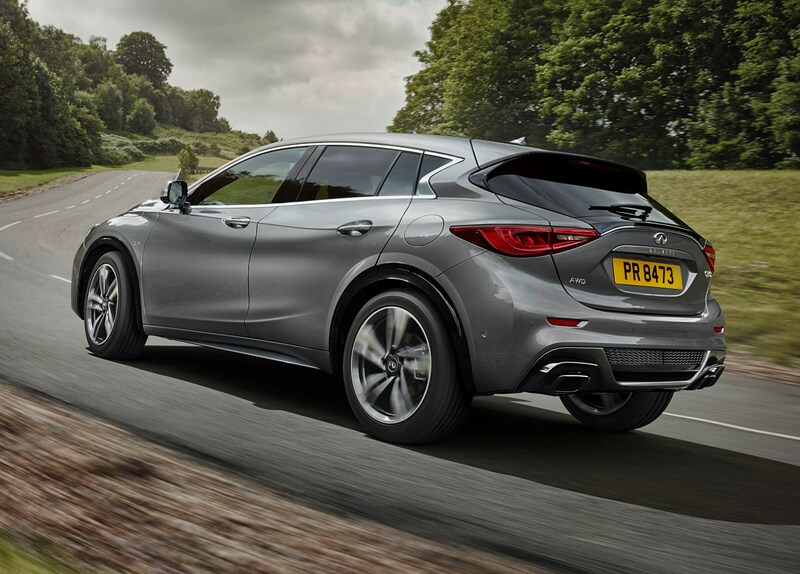 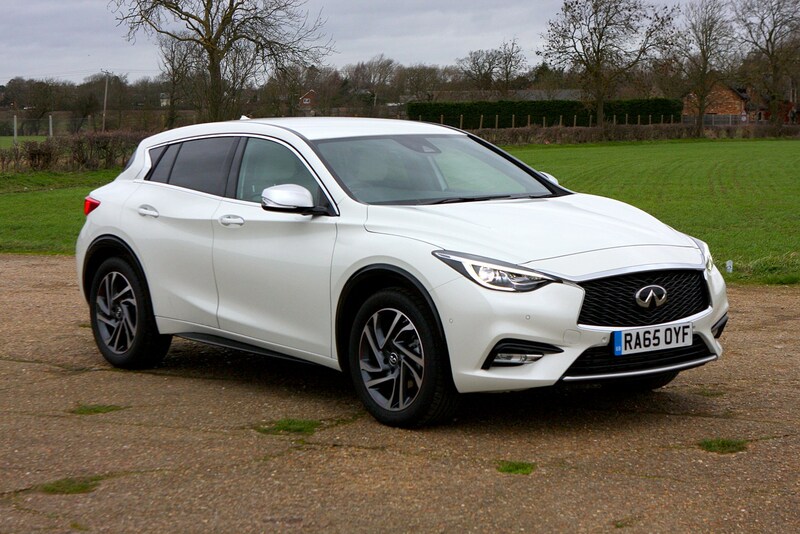 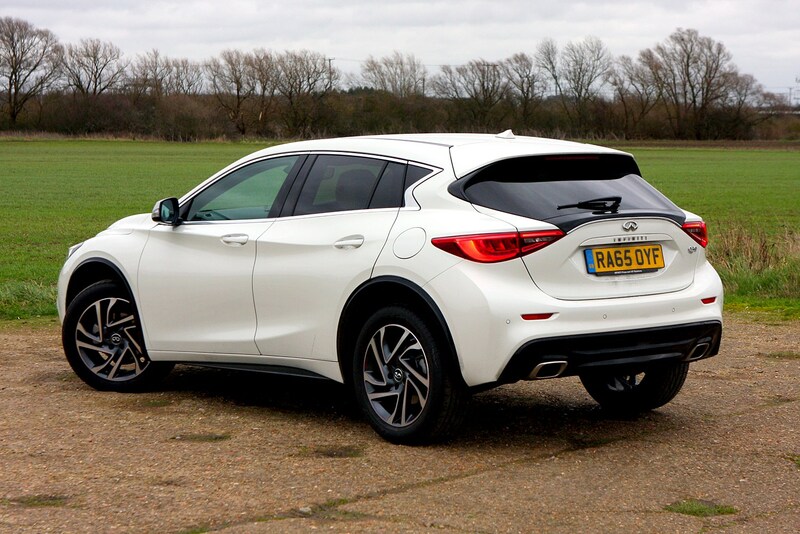 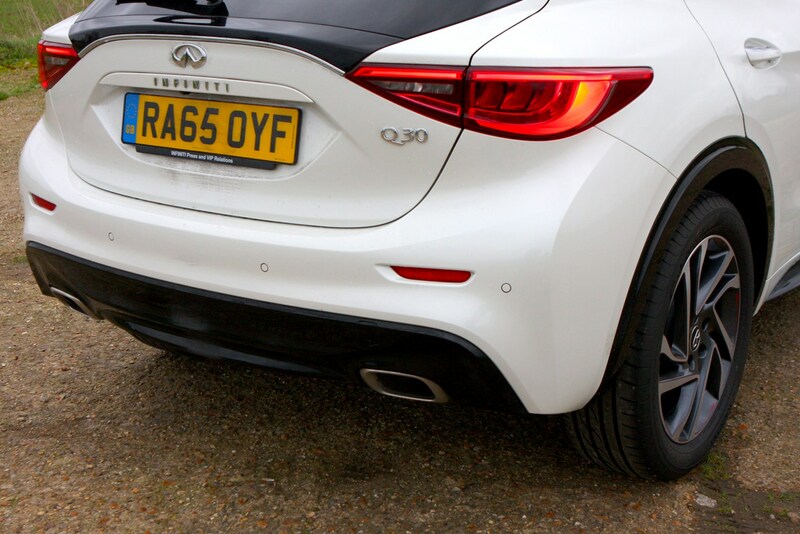 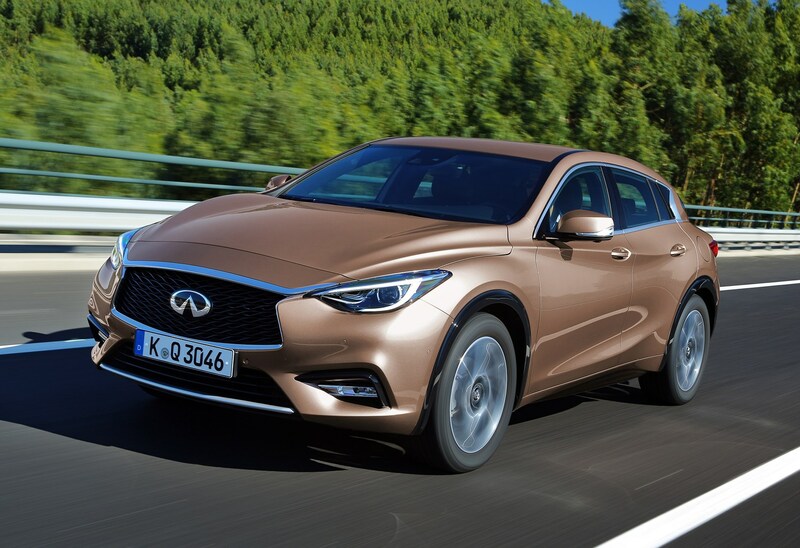 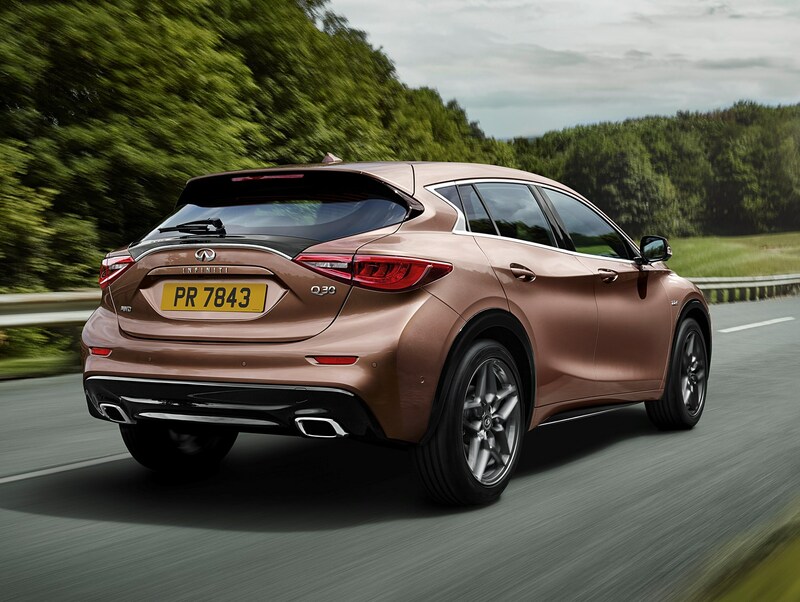 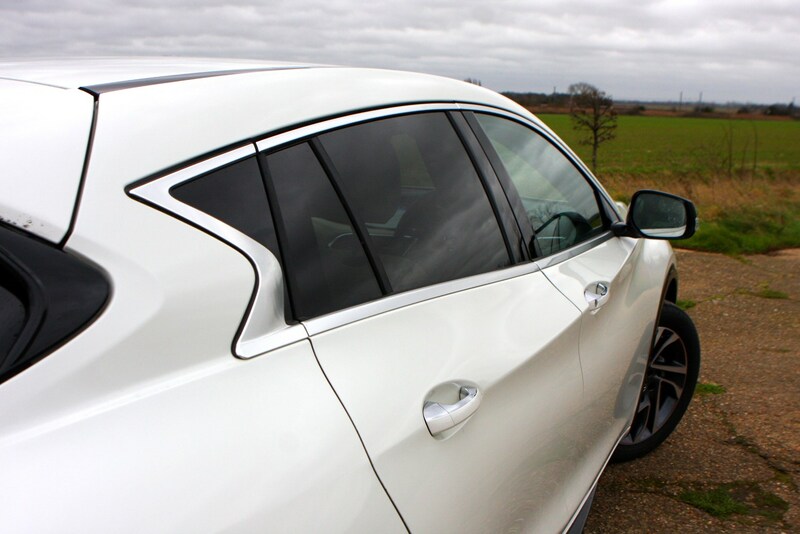 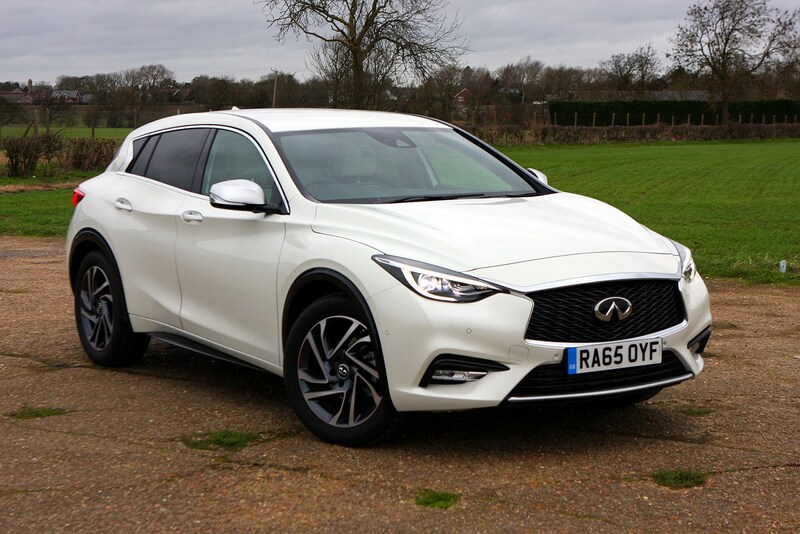 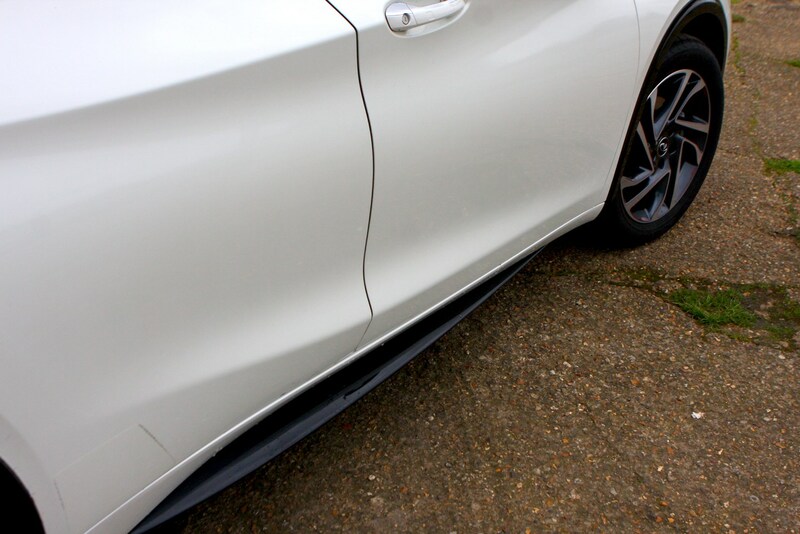 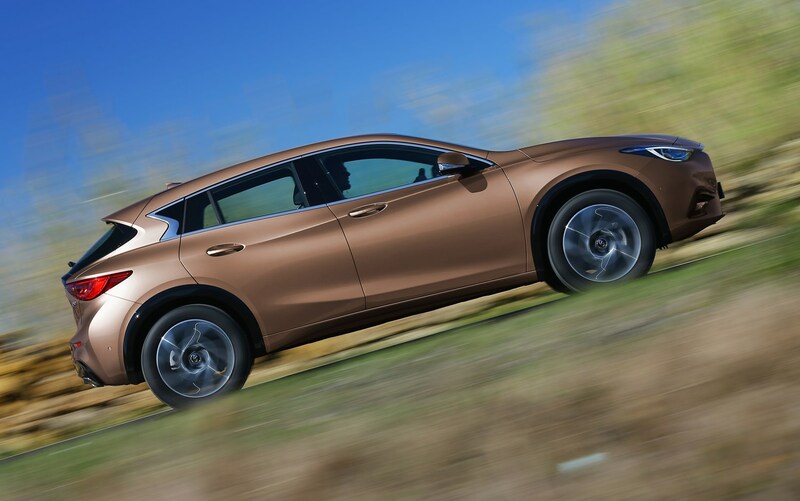 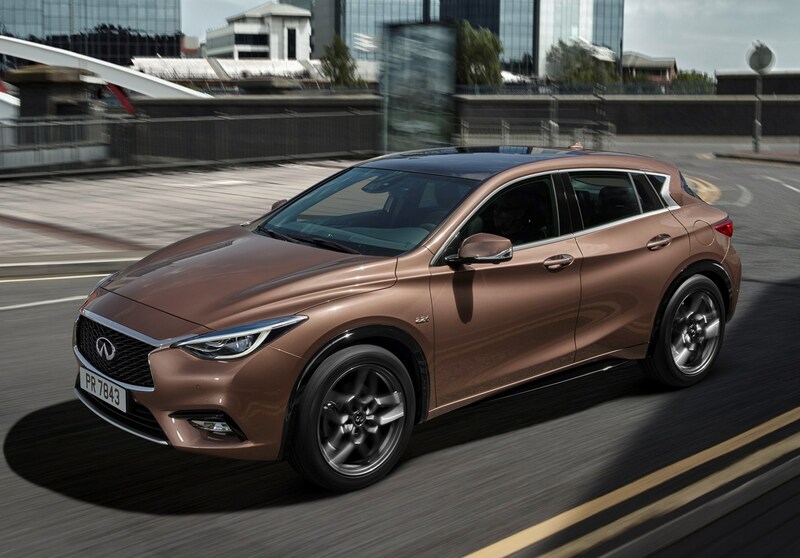 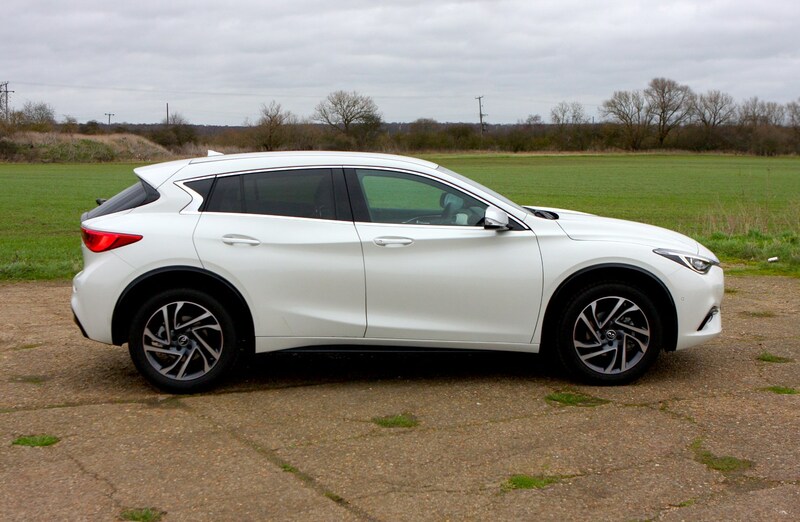 It’s fair to say this Infiniti Q30 review is absolutely vital for a firm that has struggled to realise any sort of foothold in the UK car market. 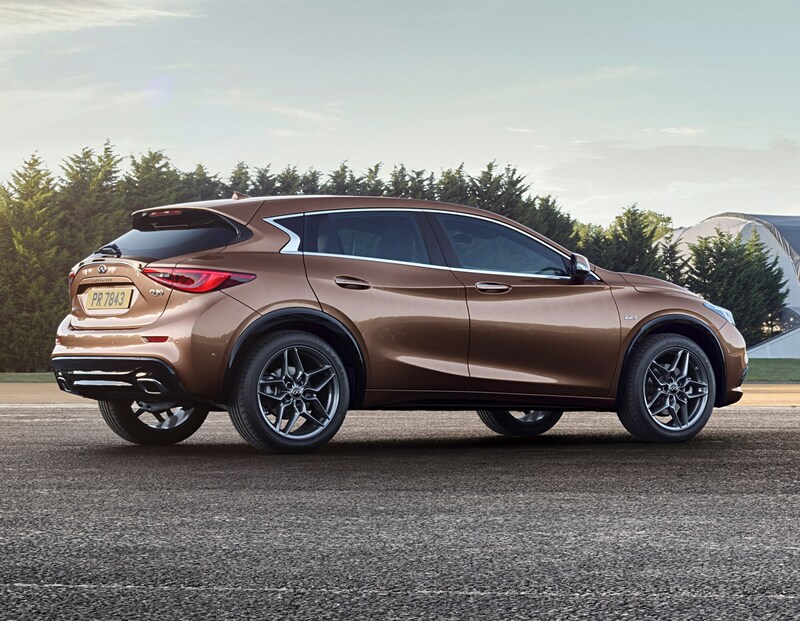 It’s expected to double sales for the luxury wing of the Renault-Nissan Alliance, and in the main it’s good news: this is a car with some impressive attributes that should resonate well with the car-buying masses. 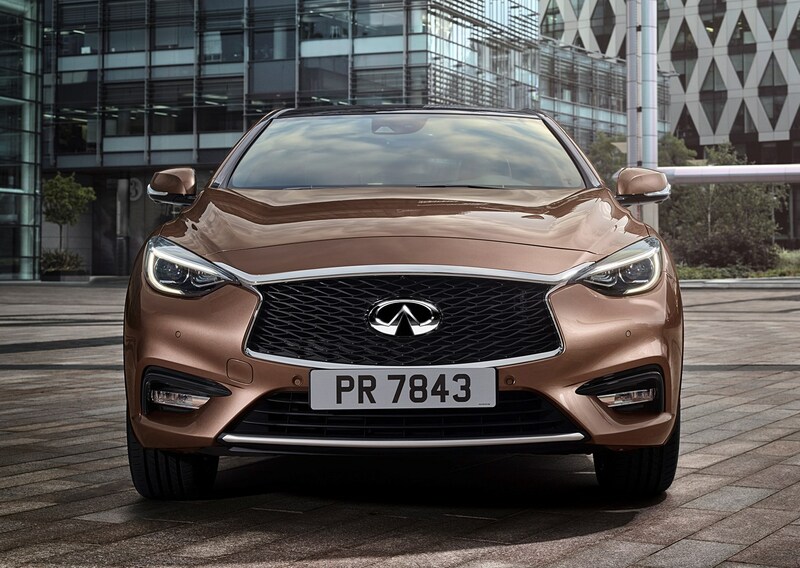 It has its problems too, but actually it’s countless times more realistic a proposition than the rest of Infiniti’s contemporary line-up. 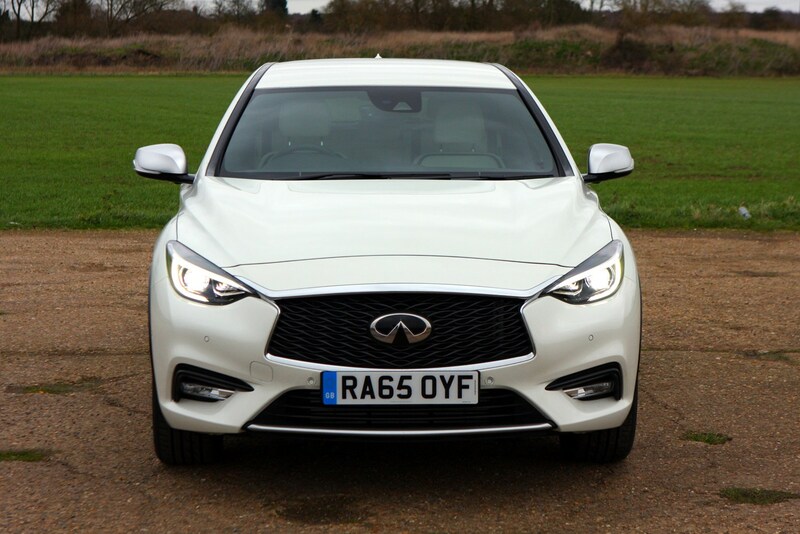 It’s a direct competitor to the Audi A3 Sportback, entering a market crammed with capable and interesting cars; some of which are among the most popular currently on sale. 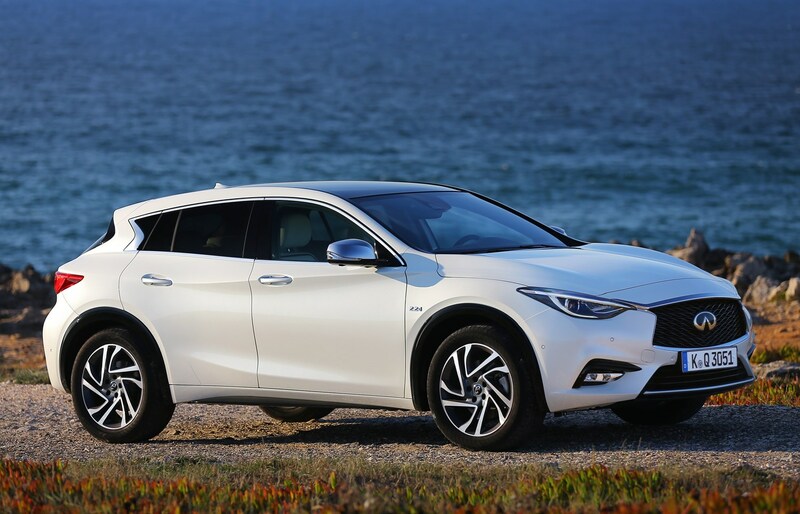 We reckon it’s close in philosophy to left-field entrants like the Mazda 3 and Volvo’s V40 (albeit more expensive than both), and in the cabin especially it’s difficult to ignore the obvious similarities with the more common Mercedes-Benz A-Class, or more specifically the GLA. 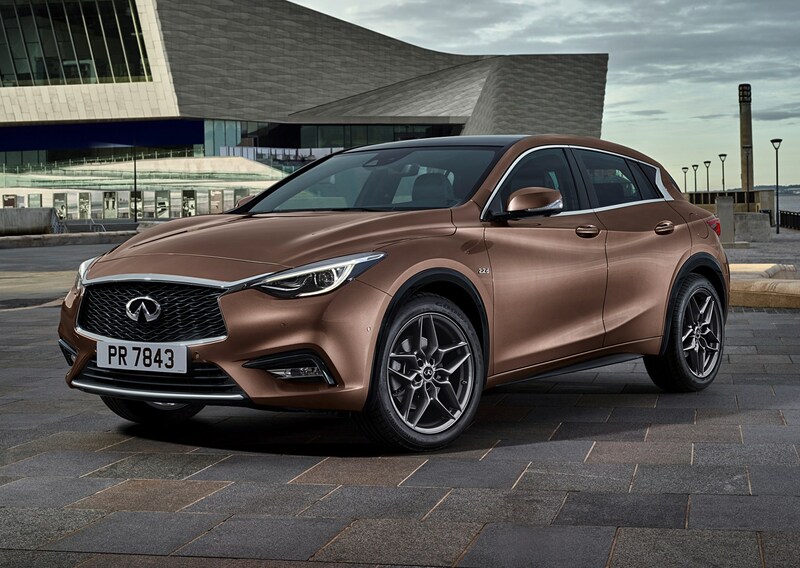 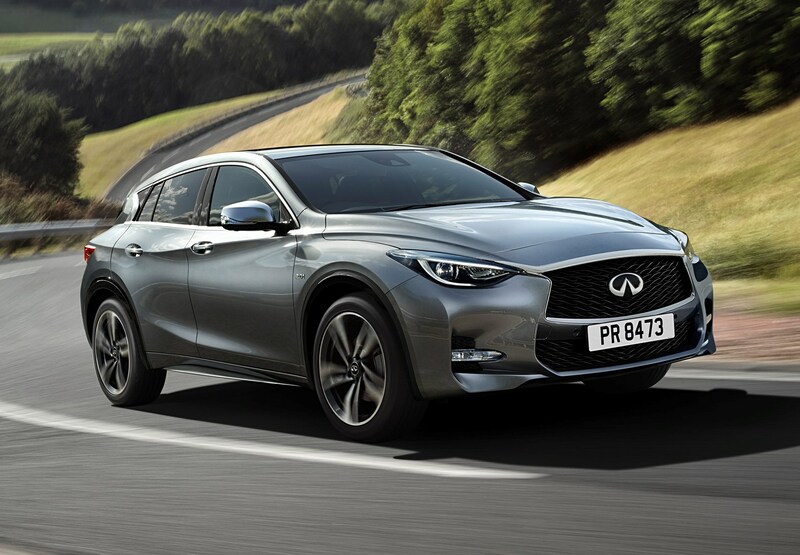 That’ll be because the Q30 is based on the very same platform, meaning it sits slightly higher than a regular five-door hatchback, though not quite as tall as the Infiniti QX30. 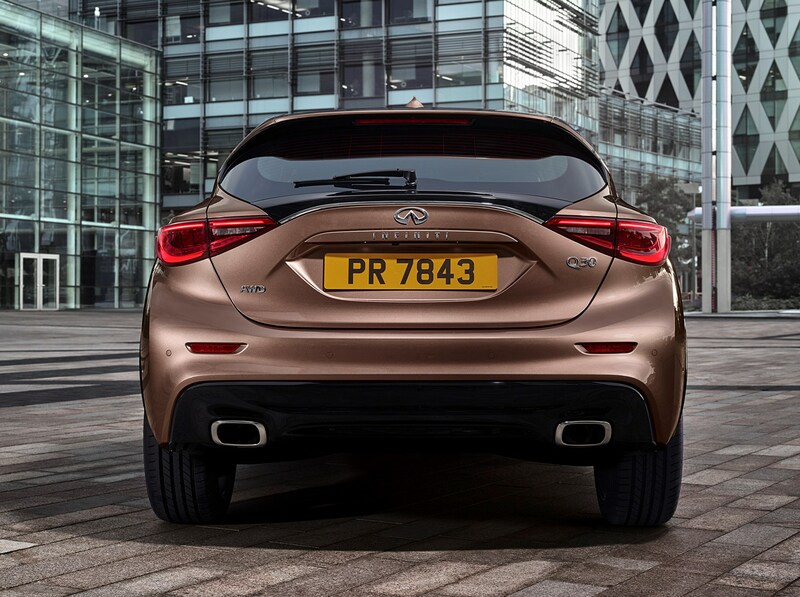 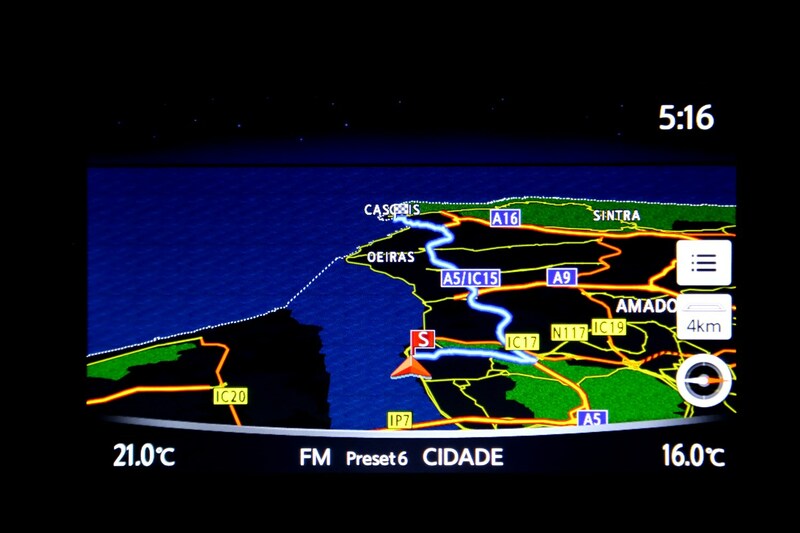 While it shares a lot with the GLA, it’s actually built in Sunderland. 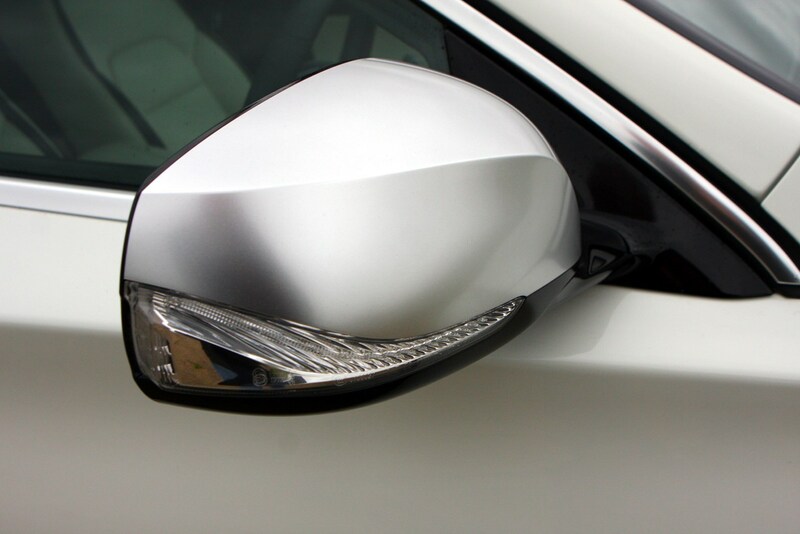 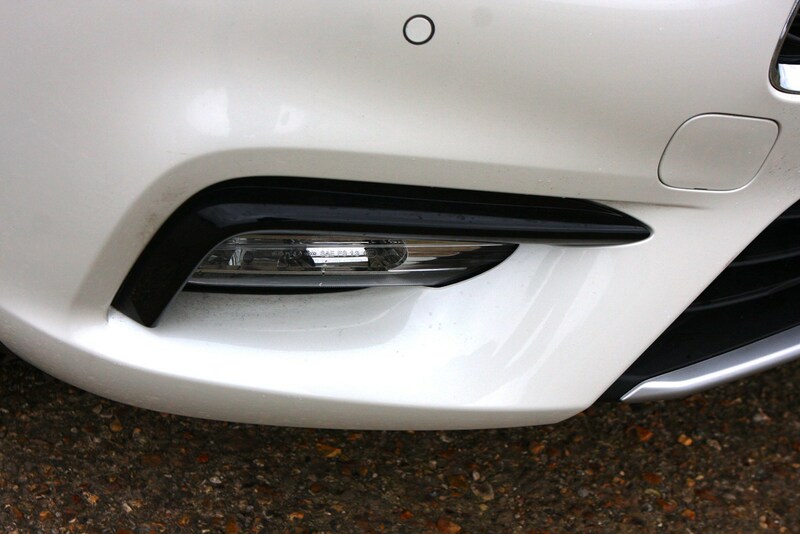 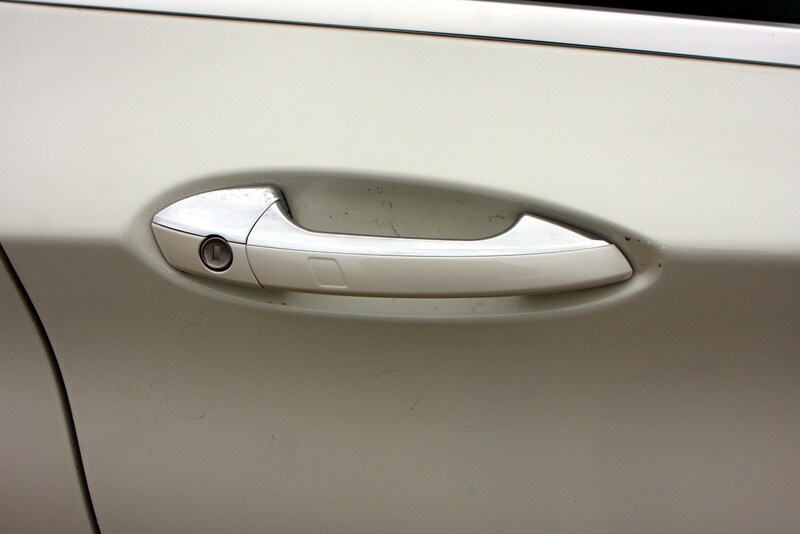 It’s not just finished there either – those sculpted body panels are stamped afresh in the north east. 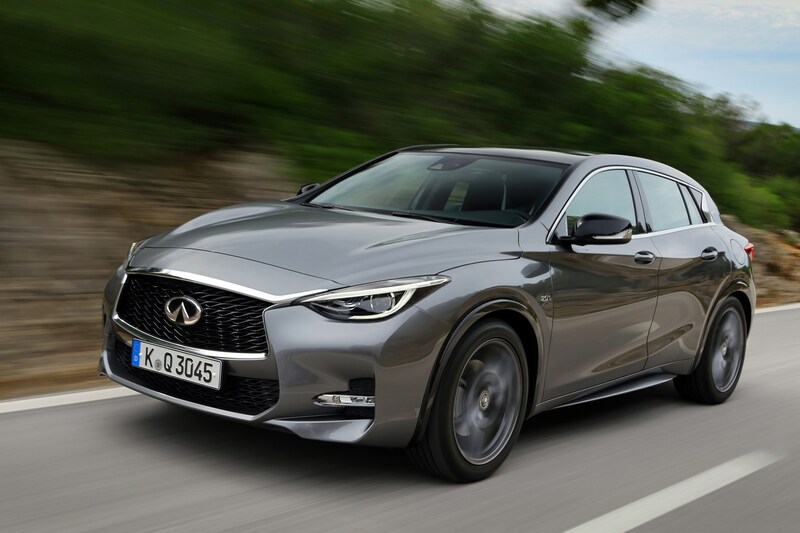 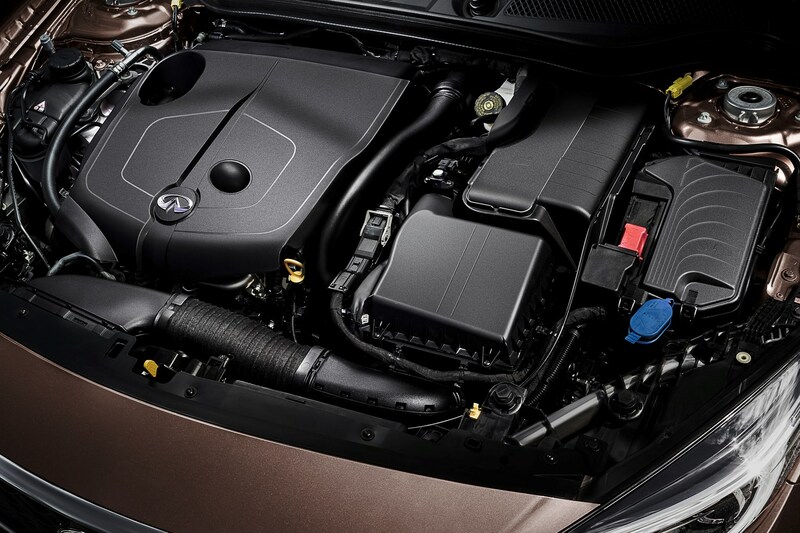 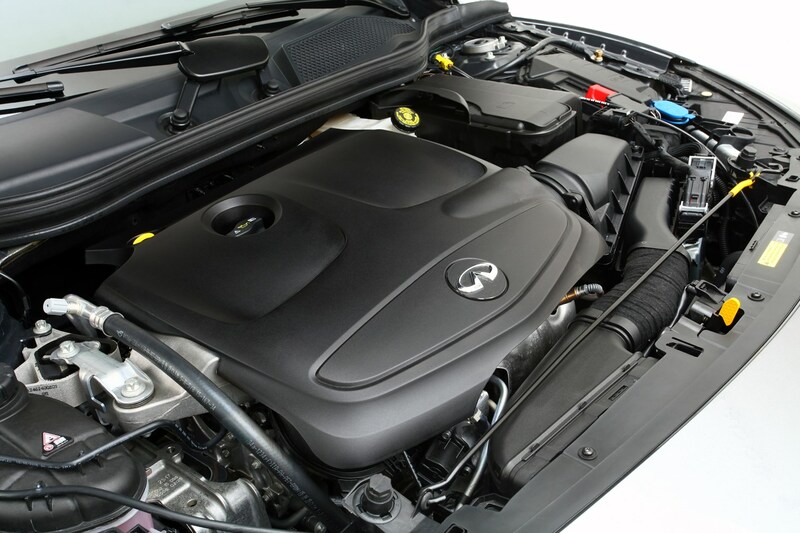 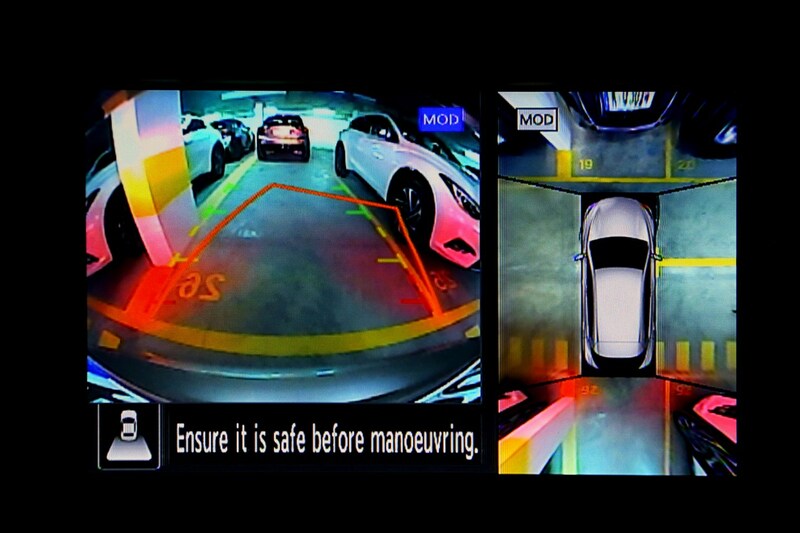 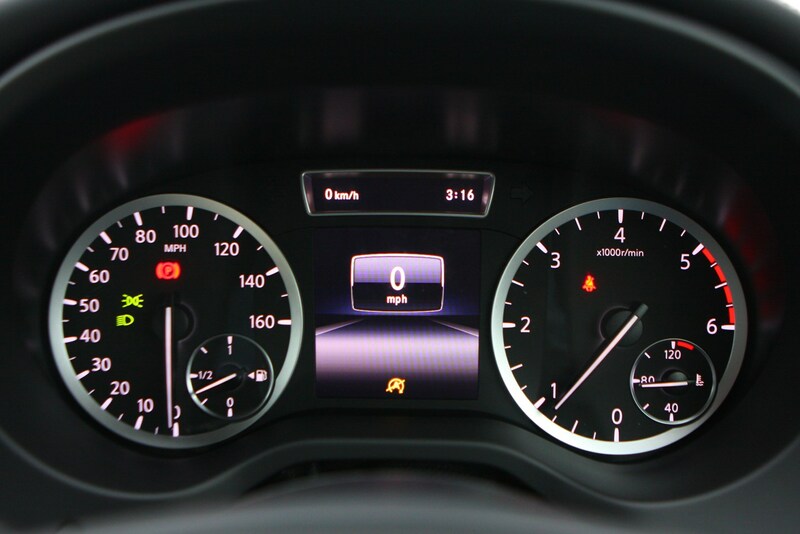 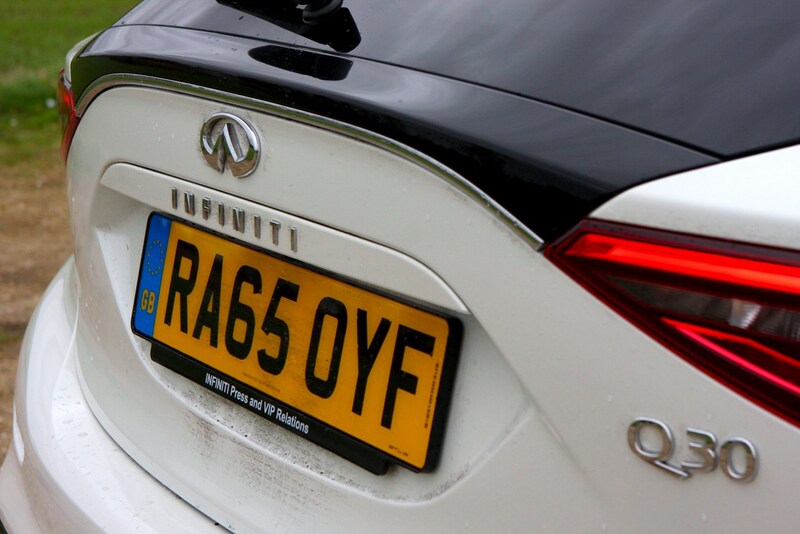 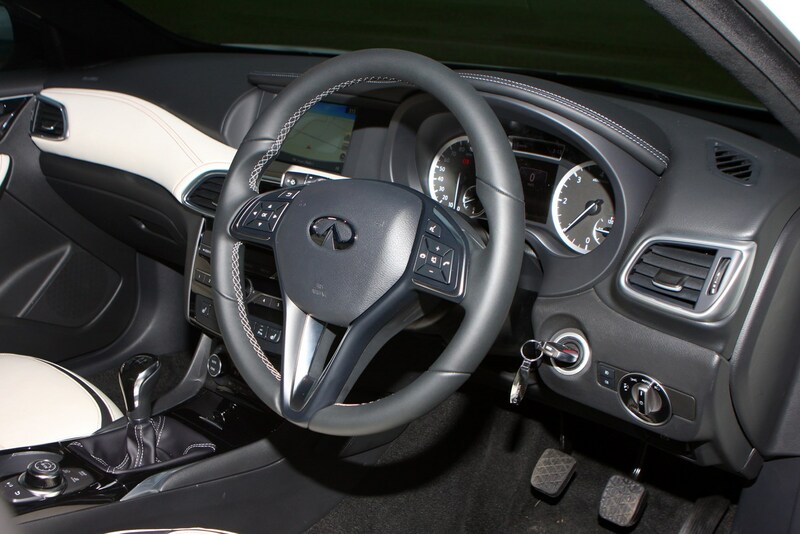 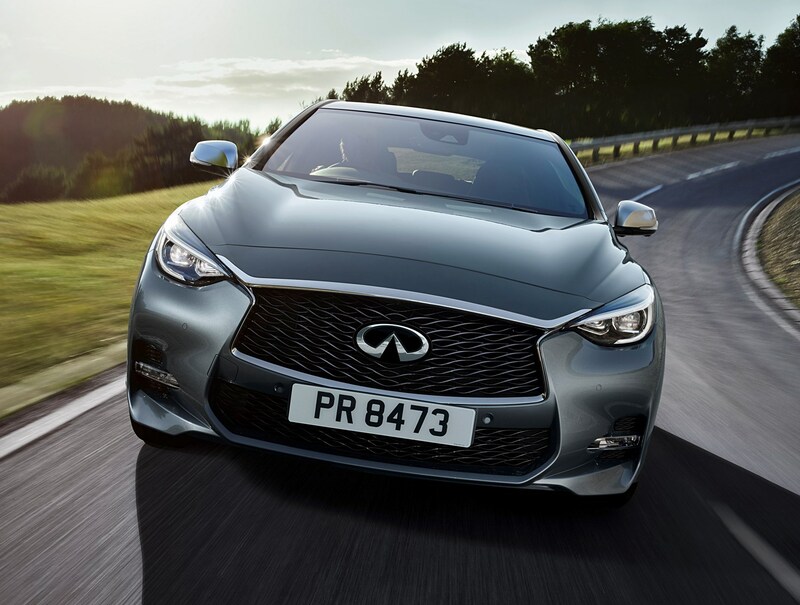 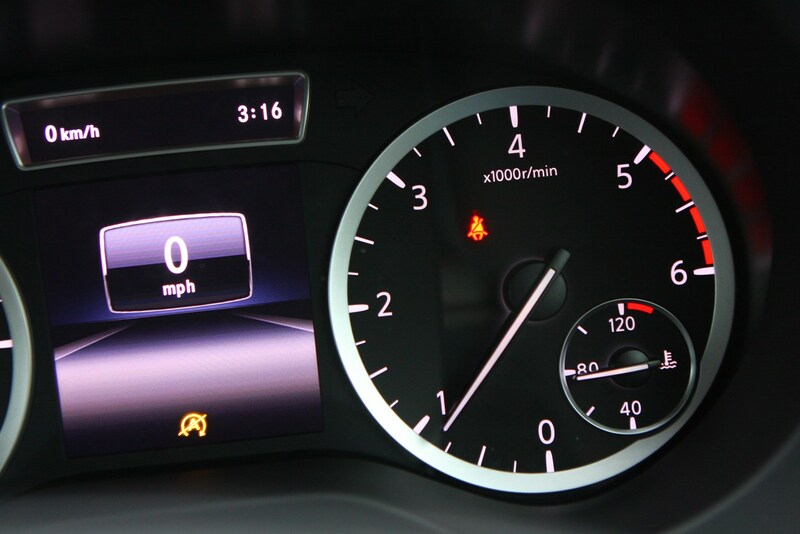 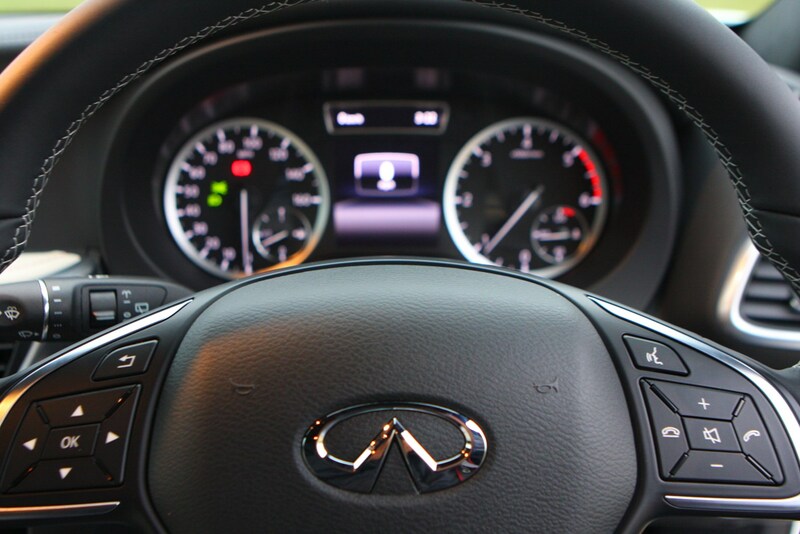 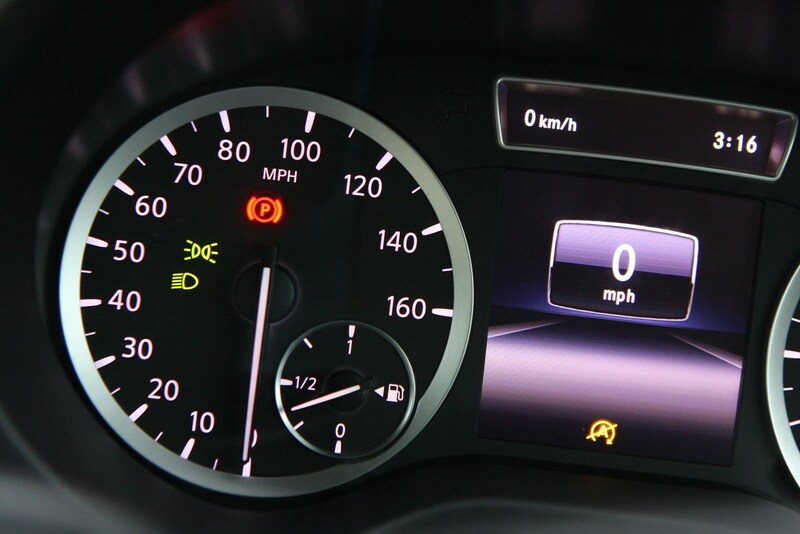 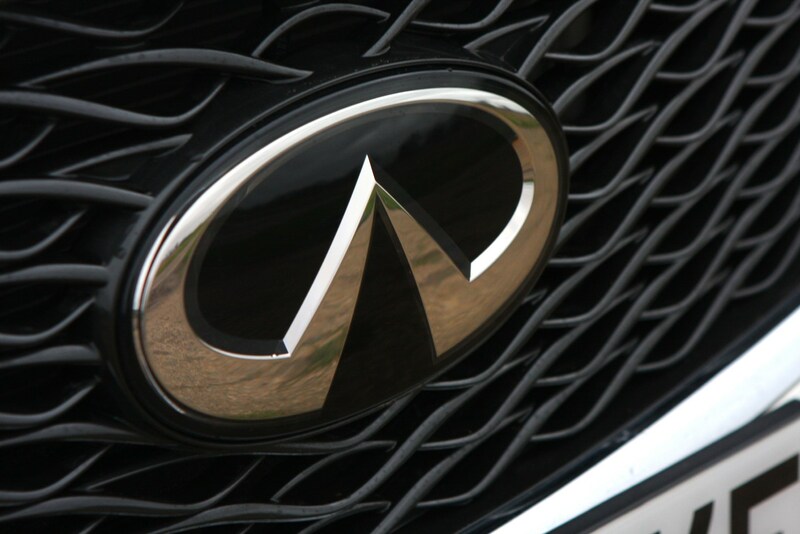 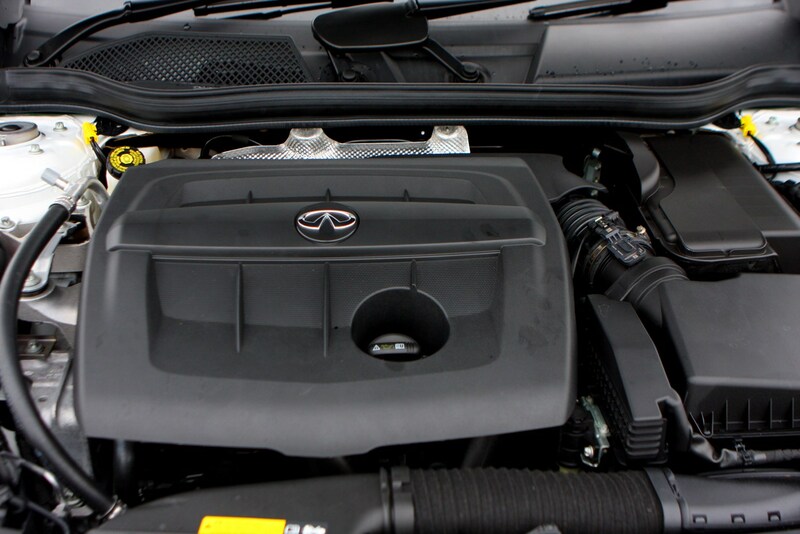 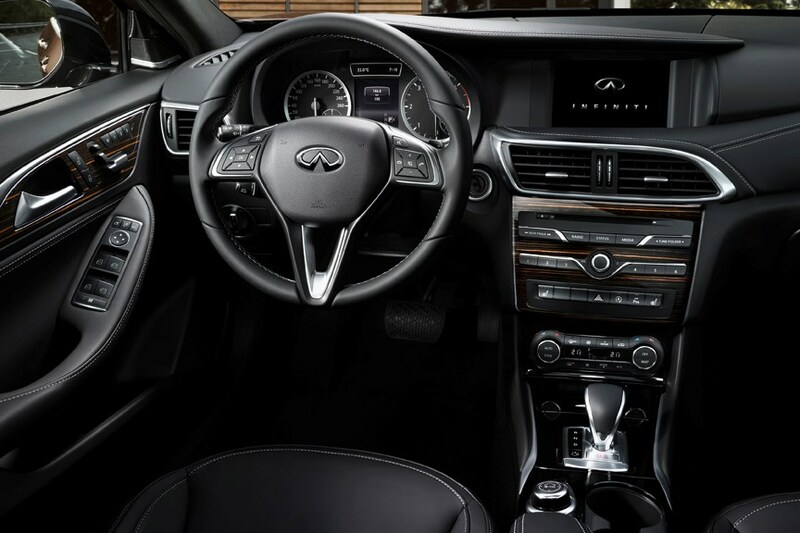 However, in March 2019 Infiniti announced plans to withdraw sales from the UK and western Europe. 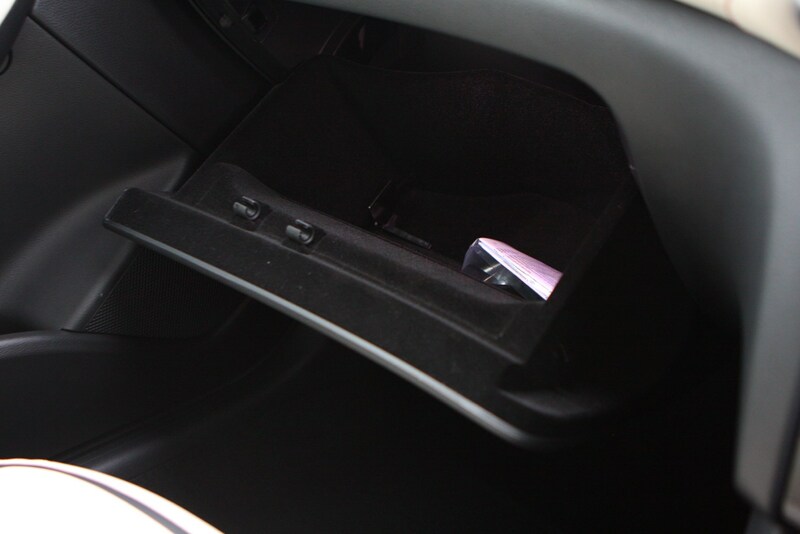 Here's the full story. 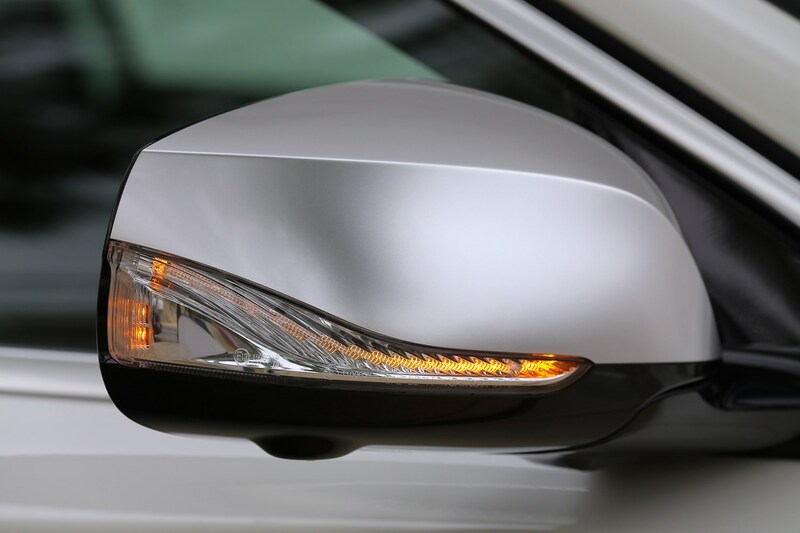 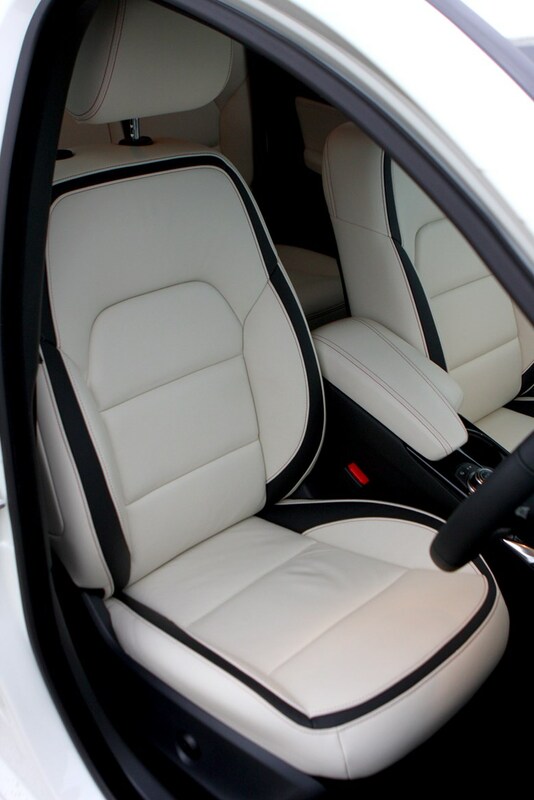 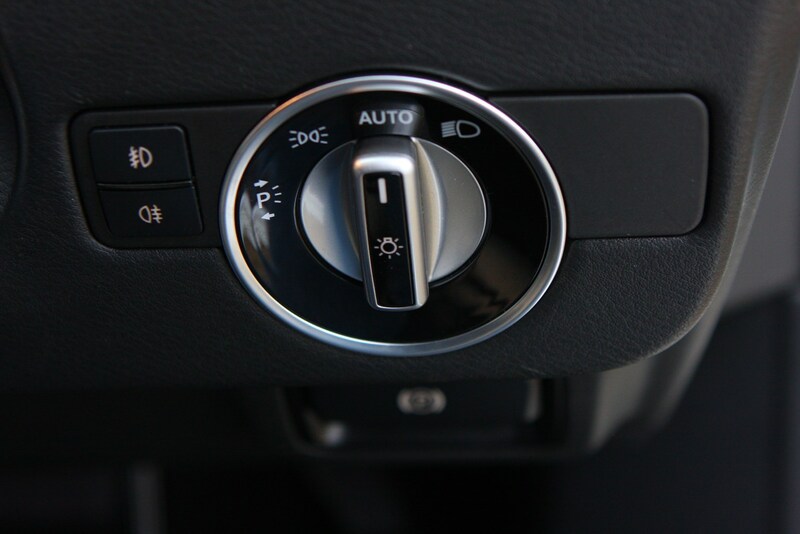 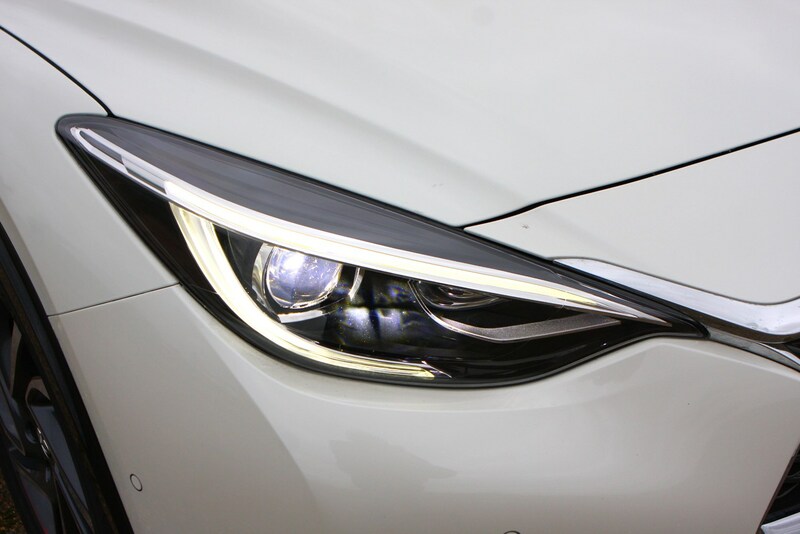 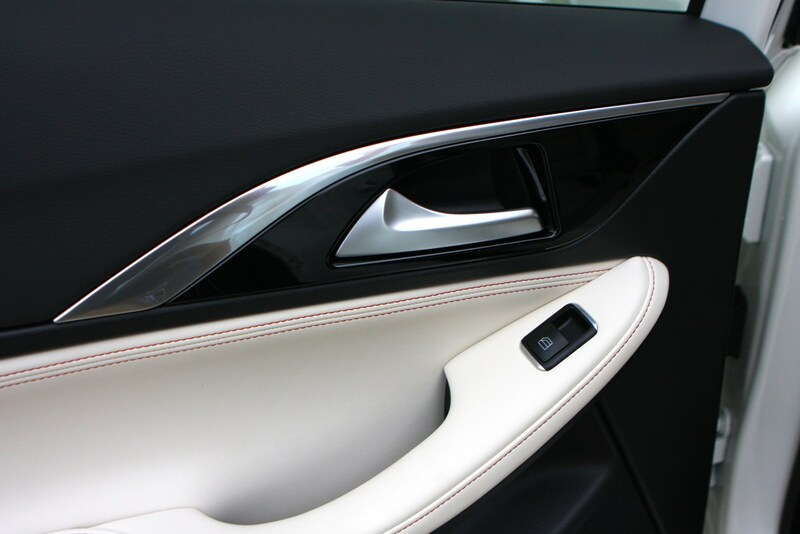 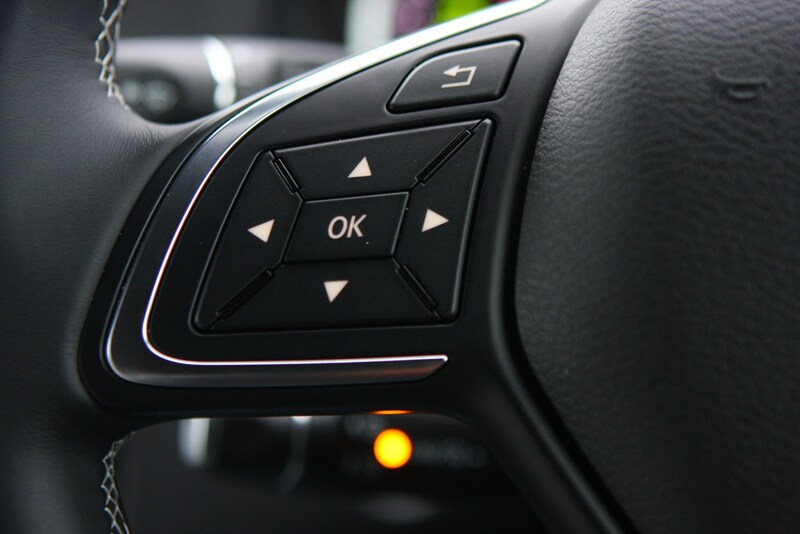 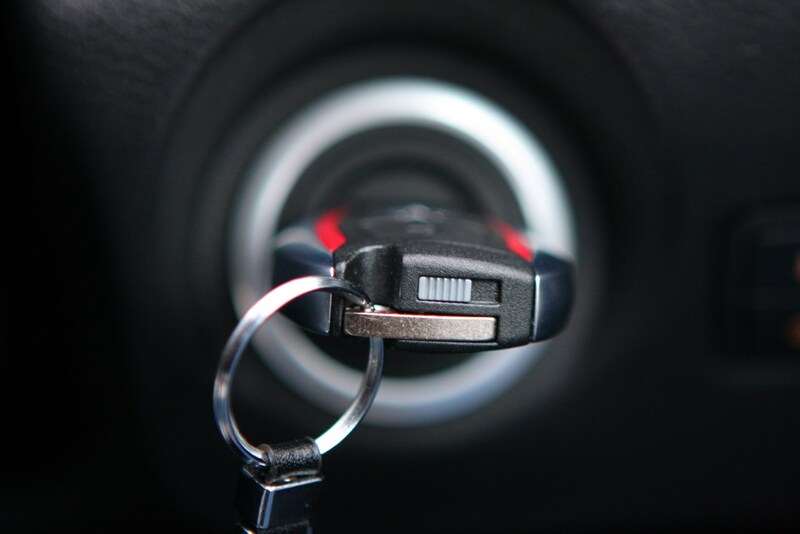 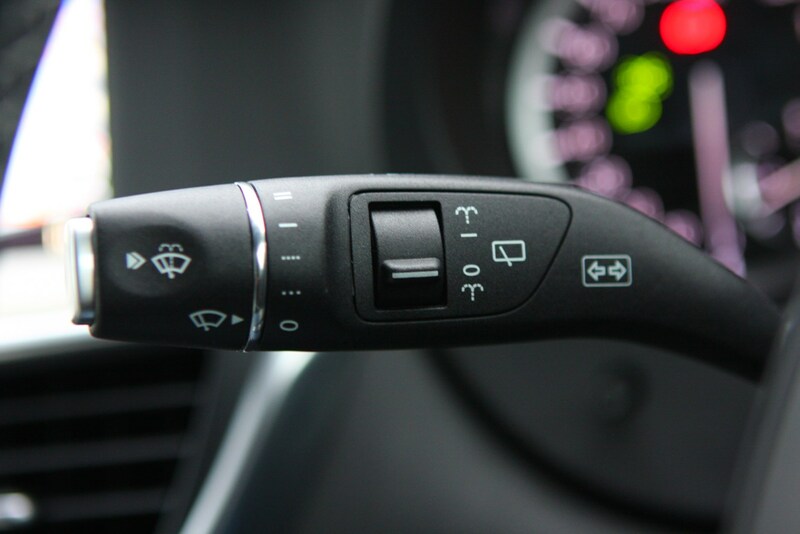 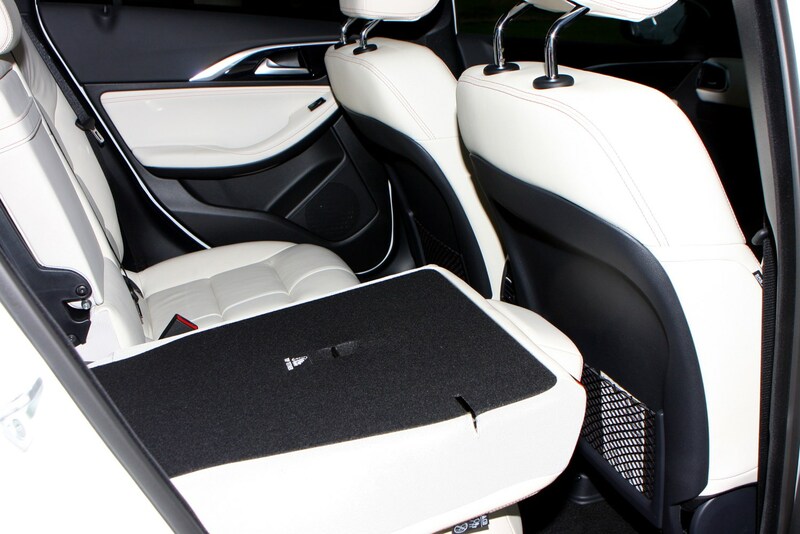 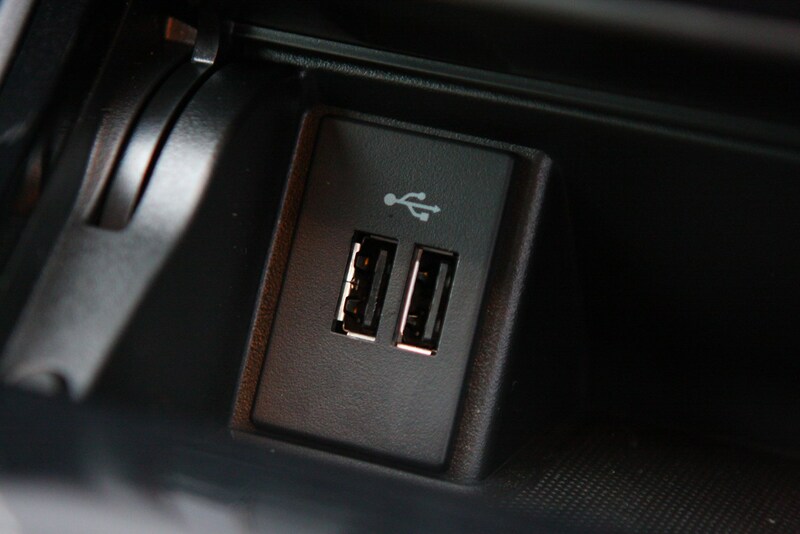 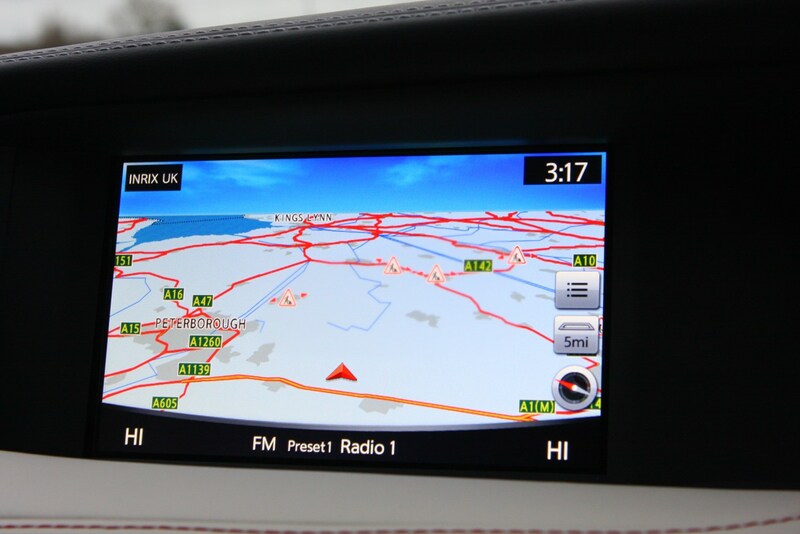 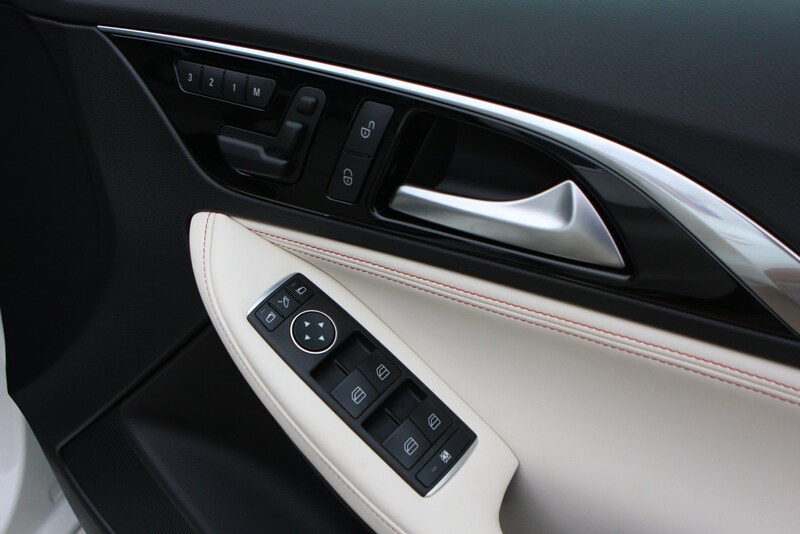 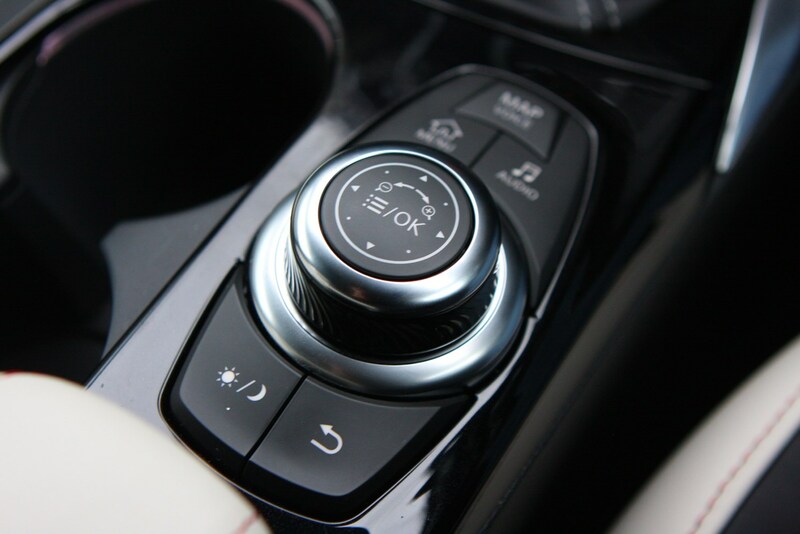 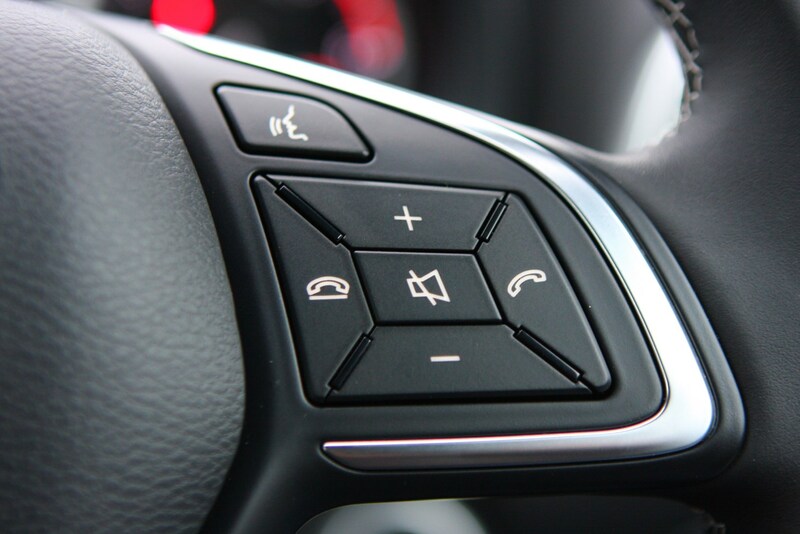 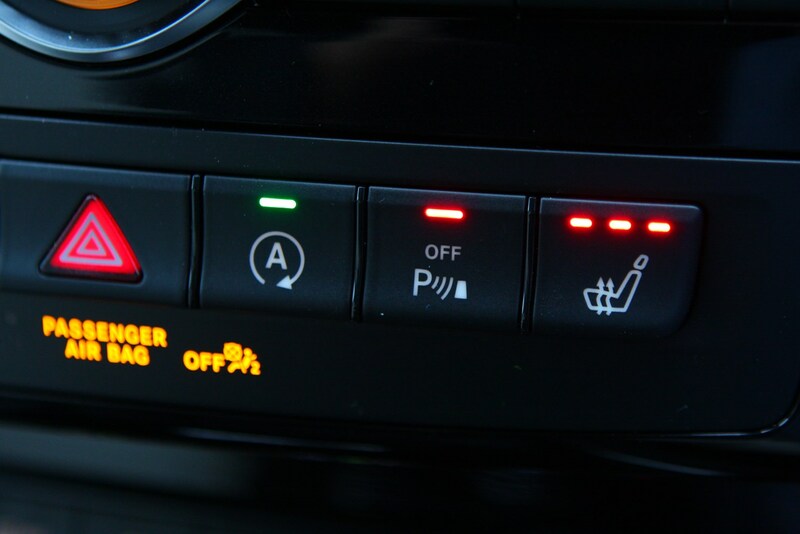 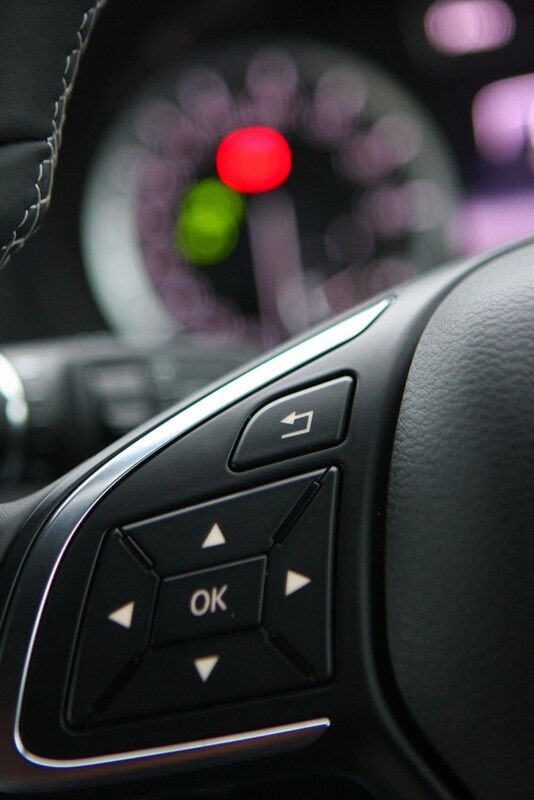 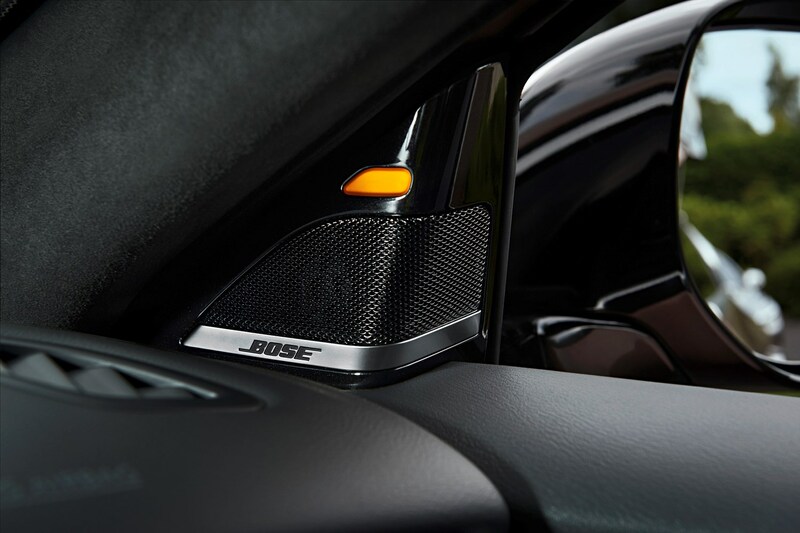 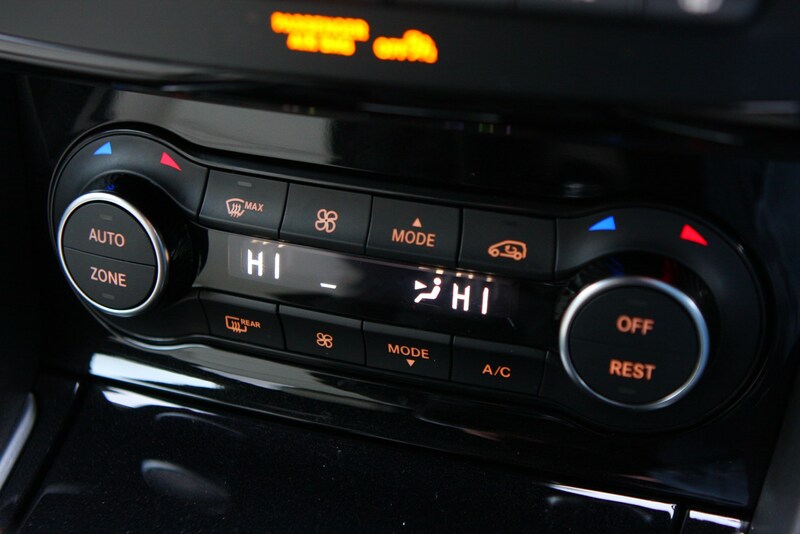 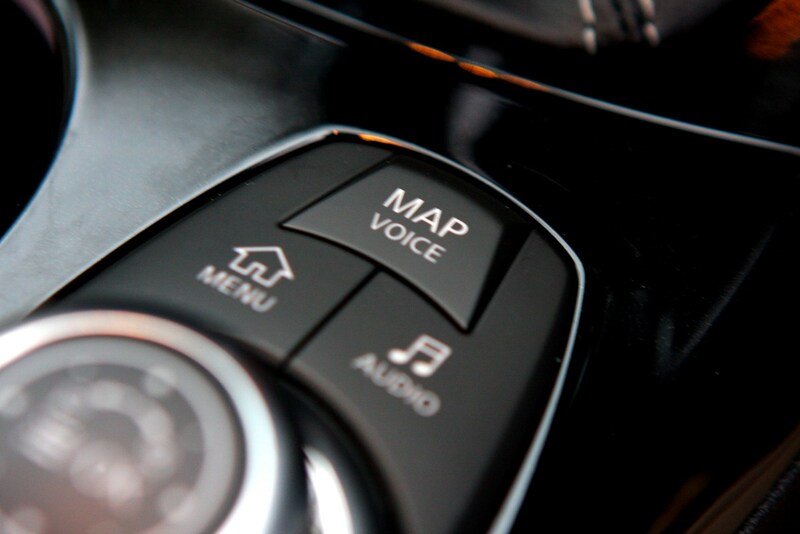 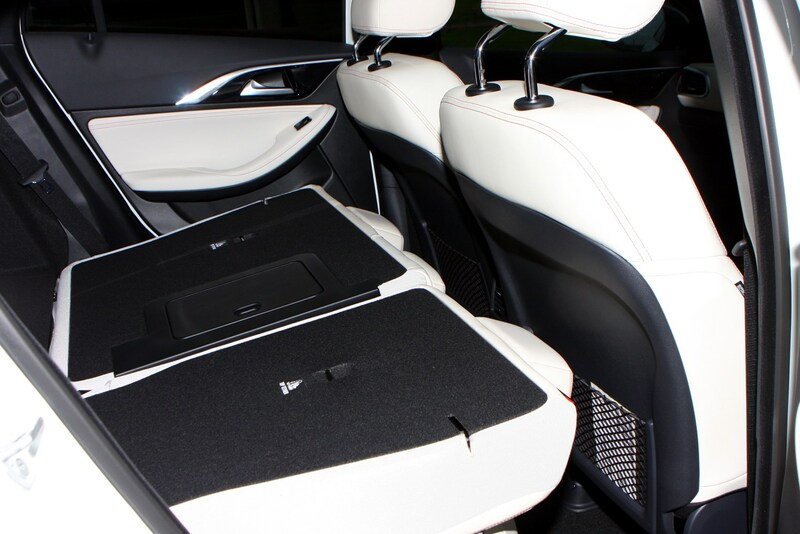 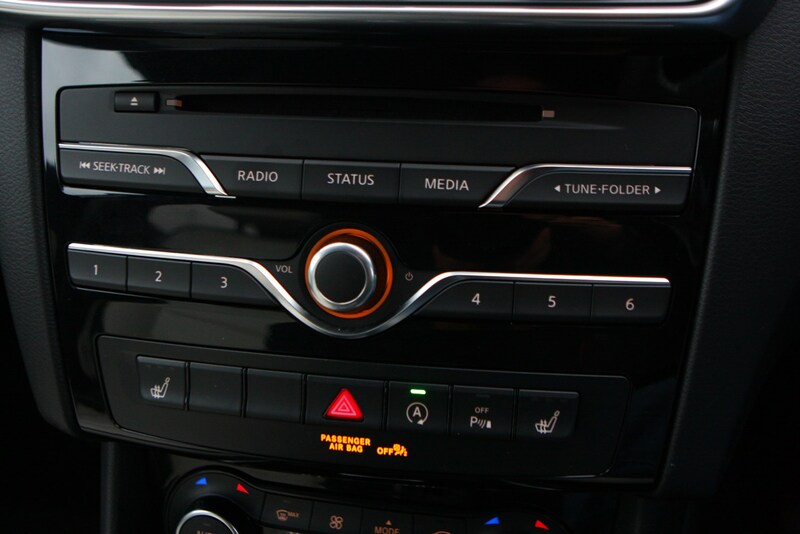 Its design is an important aspect of its appeal to premium car buyers. 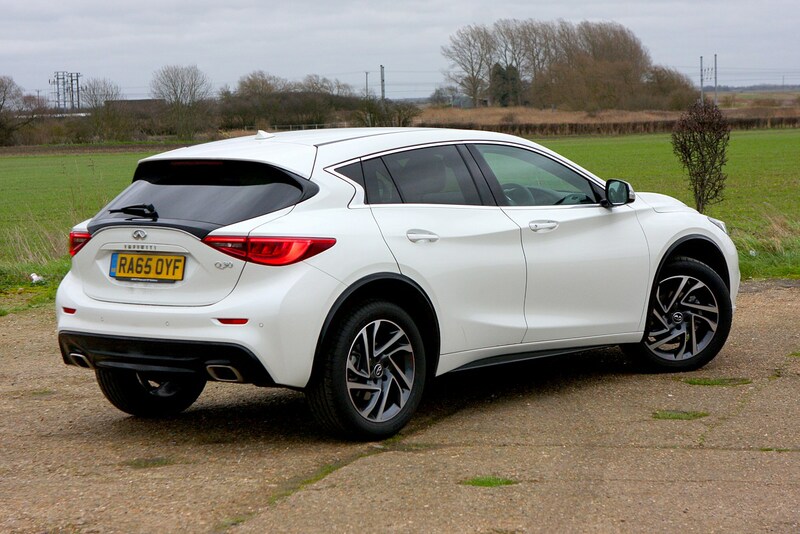 We reckon it’s one of the better-looking vehicles in the hatchback crowd, and that’s going to swing it for a lot of potential customers bored of the usual suspects. 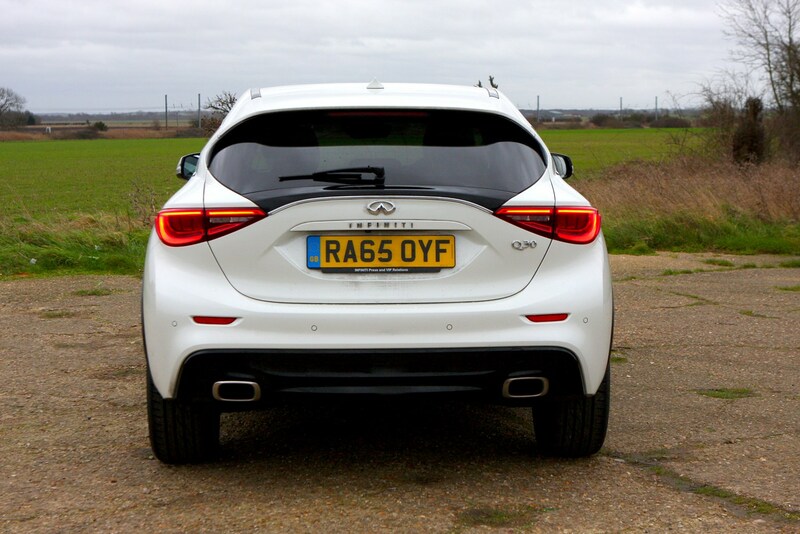 Despite sharing a chassis with a Mercedes, the reality is that it isn’t going to set a keen driver’s pulse racing. 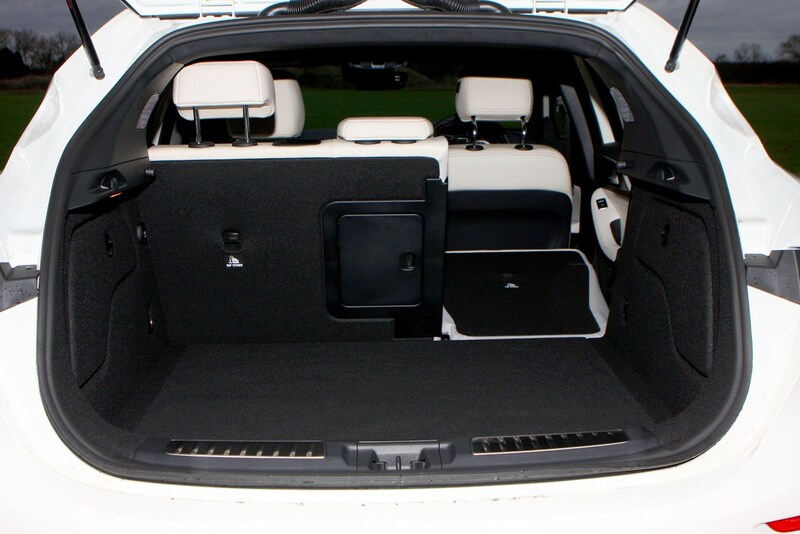 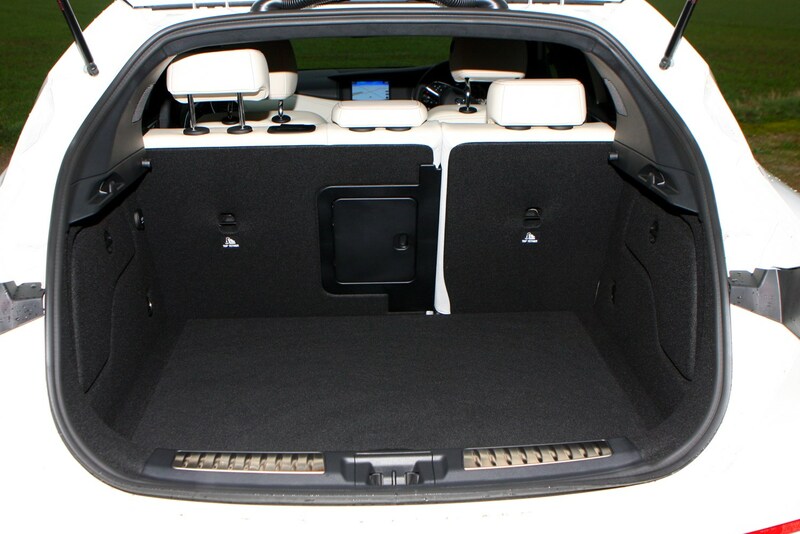 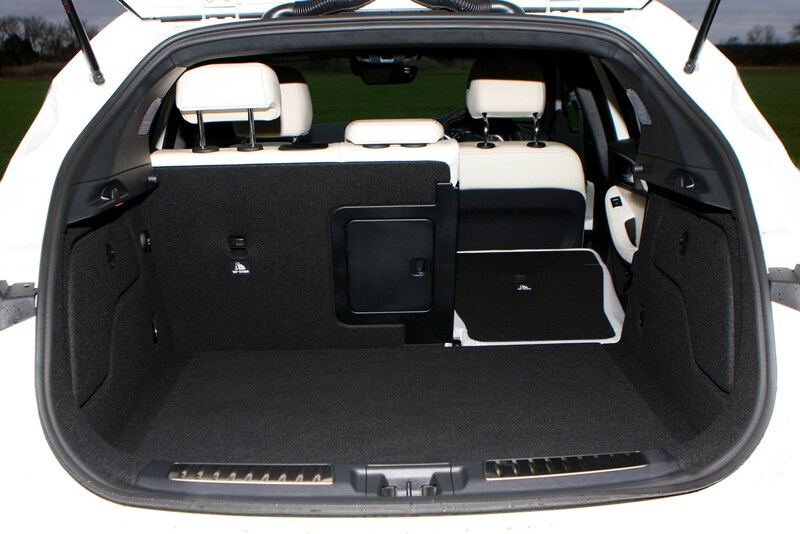 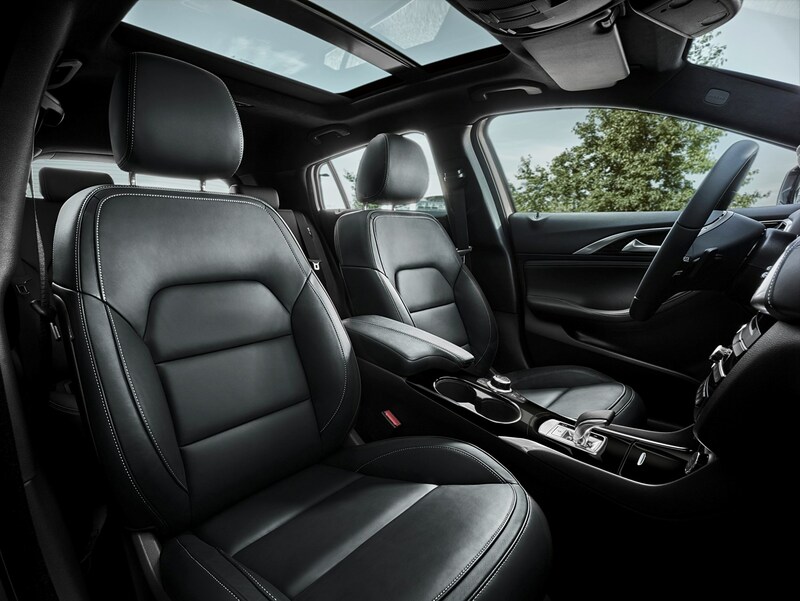 It’s more about refined comfort, and with a quiet cabin and well-damped suspension it fills that quota nicely. 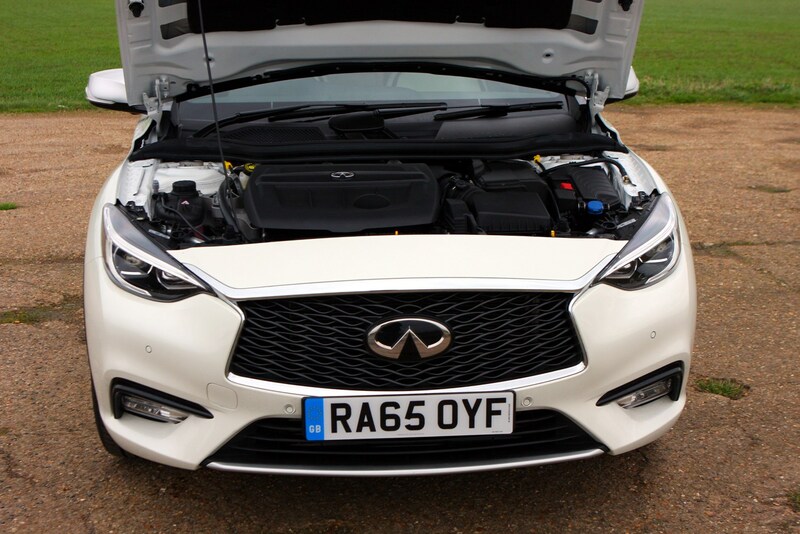 One look at the engine line-up echoes this laid-back philosophy - there’s a choice of petrol and diesel powerplants but no hot-hatch version to speak of. 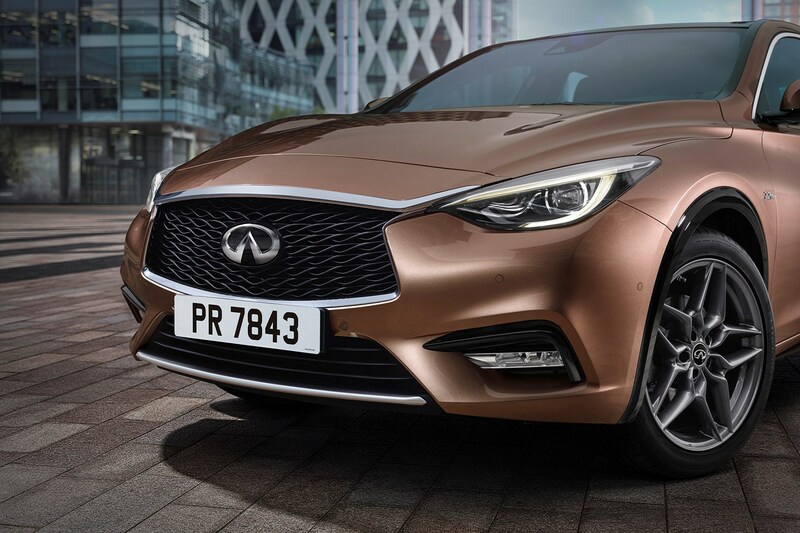 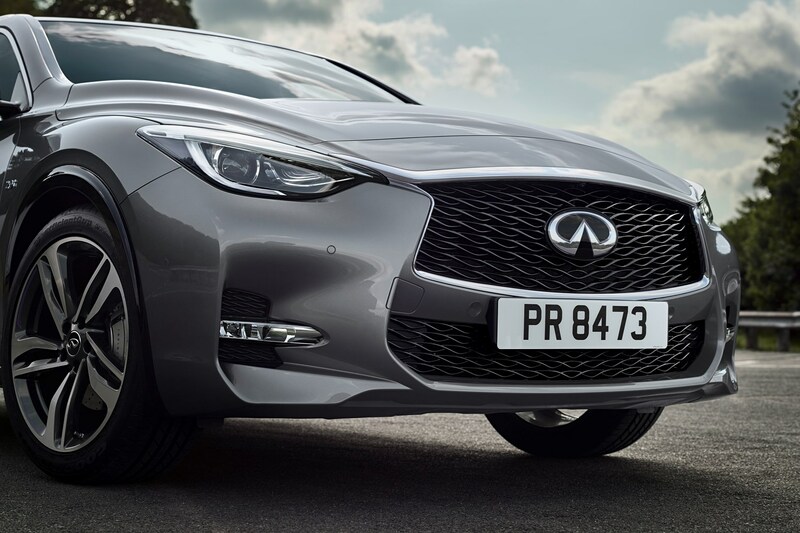 Don’t be fooled by the Q30 S, which does indeed stand for Sport, because while it isn’t a bad drive, it’s shamed by truly capable performance five-doors costing a lot less. . 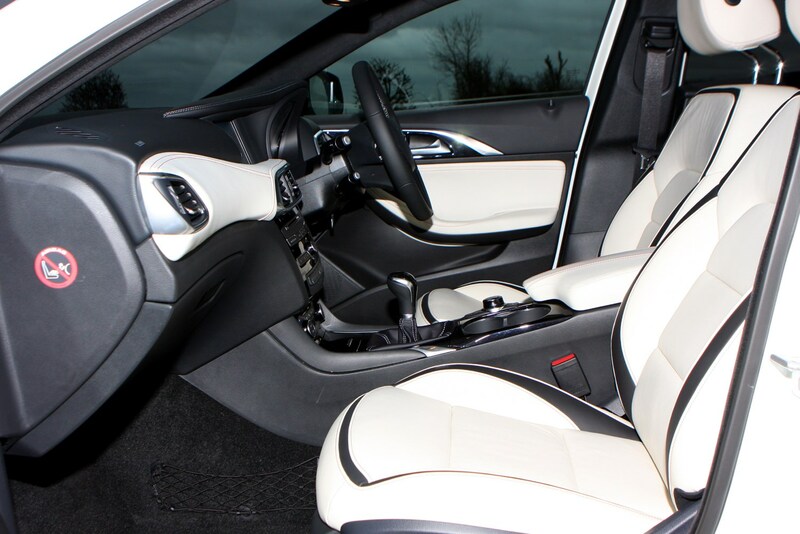 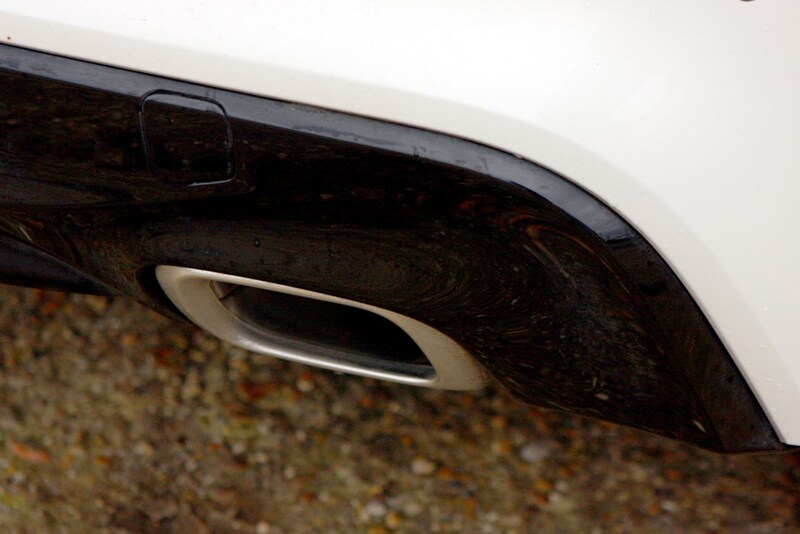 The Ford Focus ST, for example, is a more rewarding drive in every way and costs many thousands of pounds less. 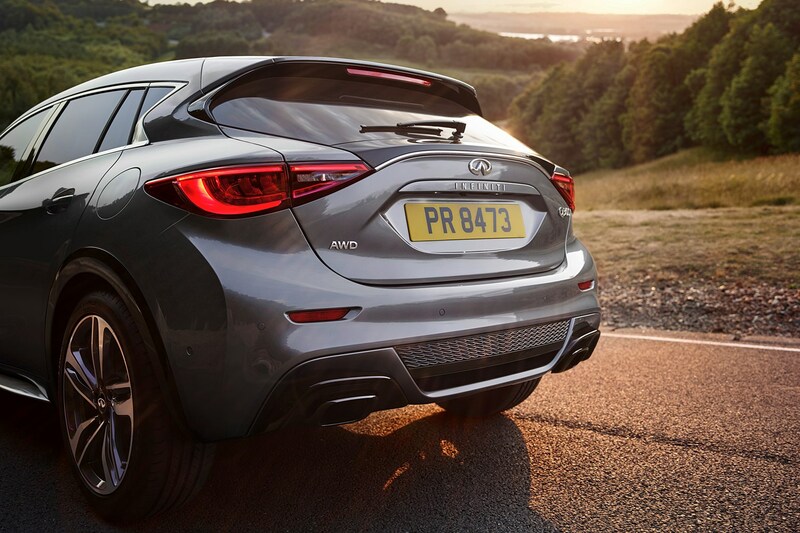 It’s also utterly out-classed by price-rivals such as the Volkswagen Golf R , which leaves room for an ultra-expensive Mercedes-AMG A45 rival; but the firm probably wants to start selling a lot more cars before embarking on that sort of niche production run. 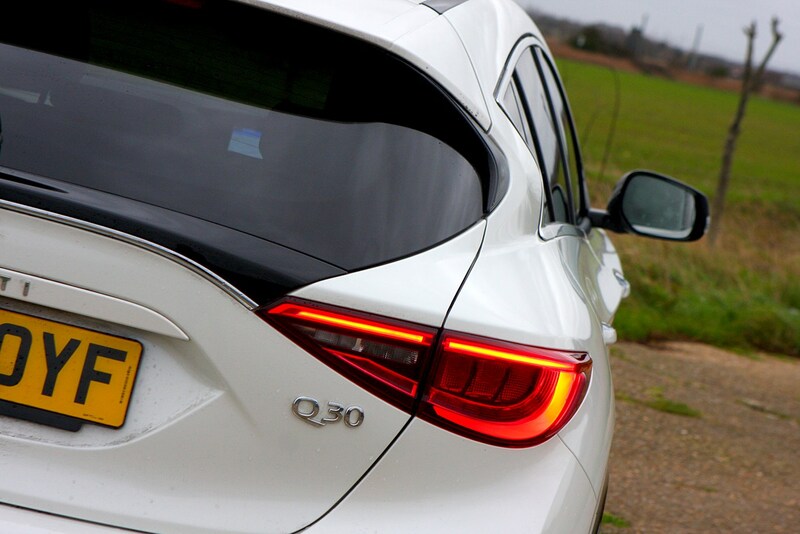 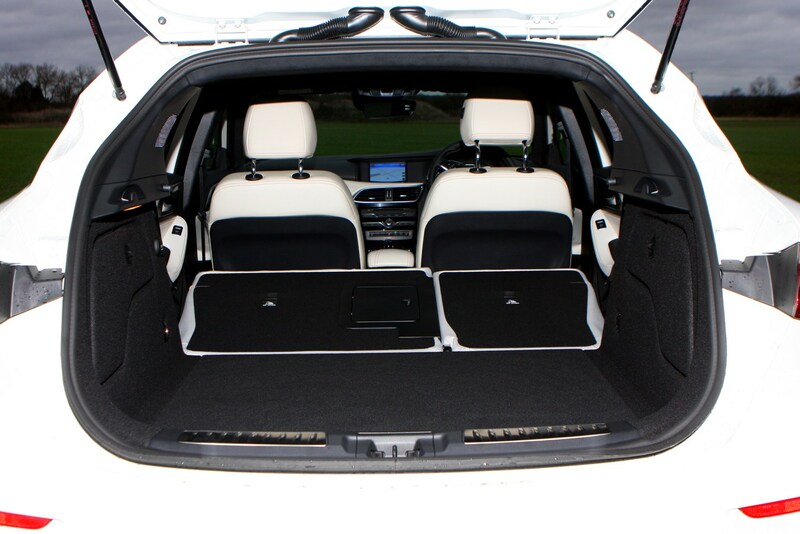 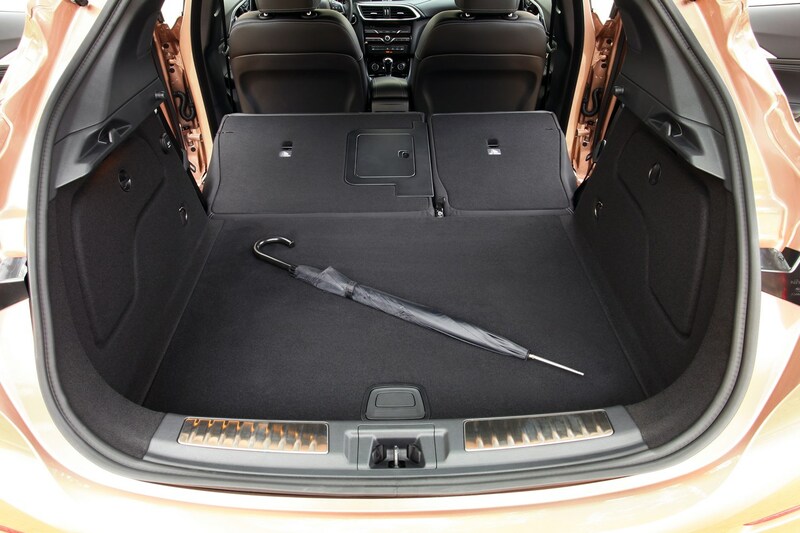 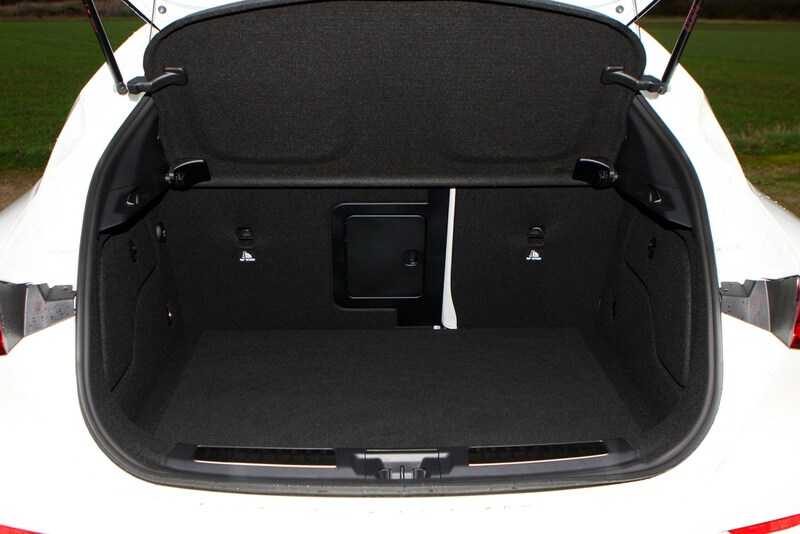 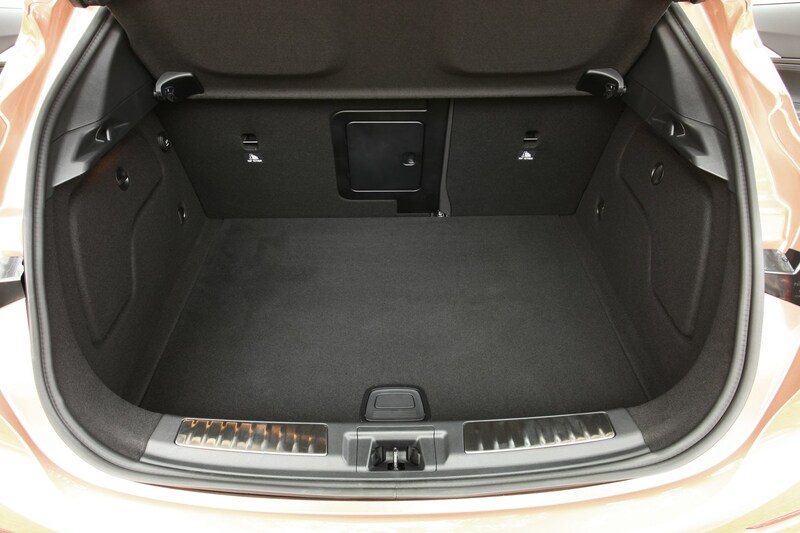 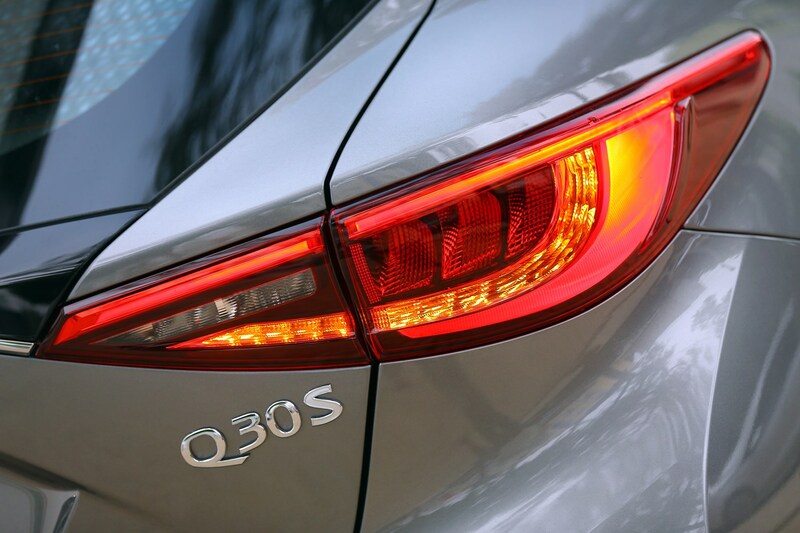 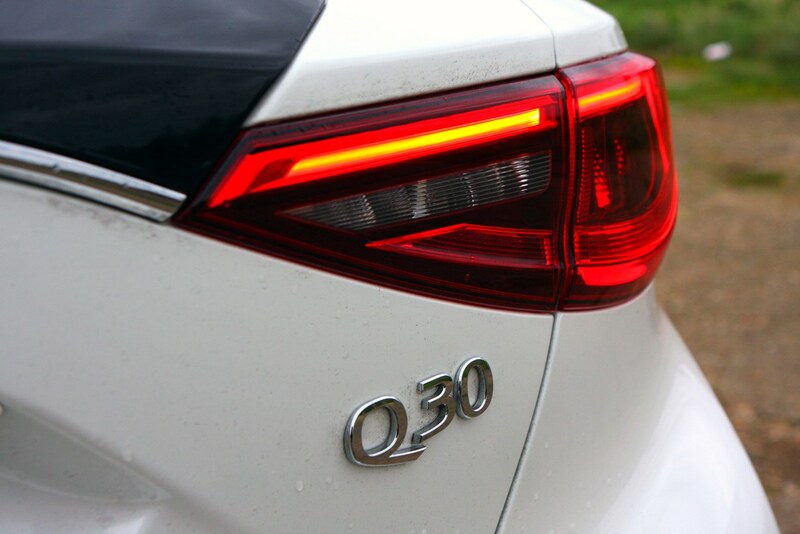 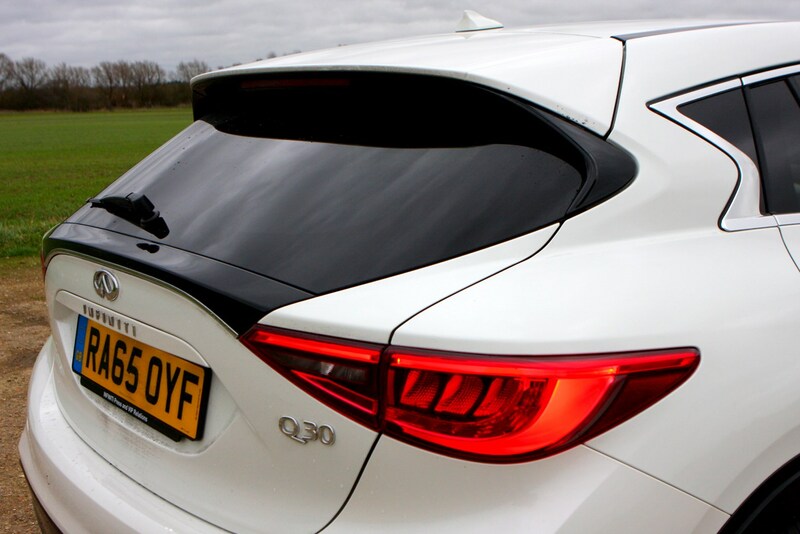 But really, folk who the Q30 appeals to wouldn’t be seen dead in a Ford Focus hatchback. 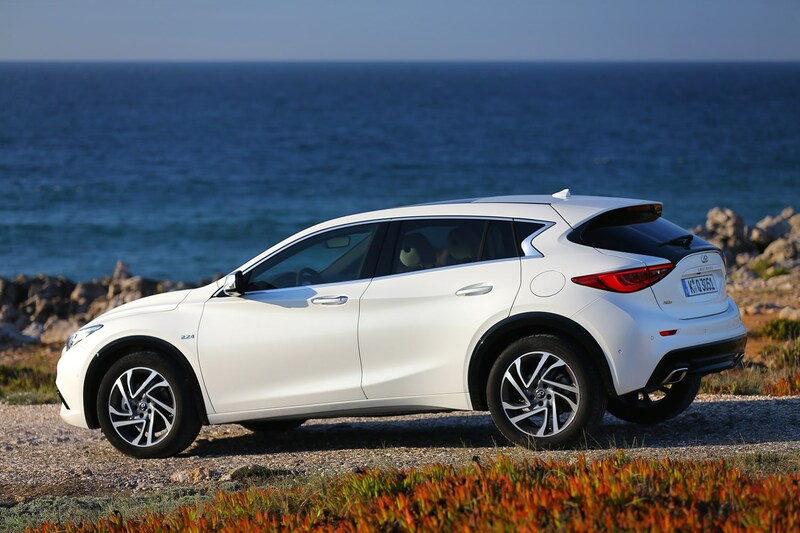 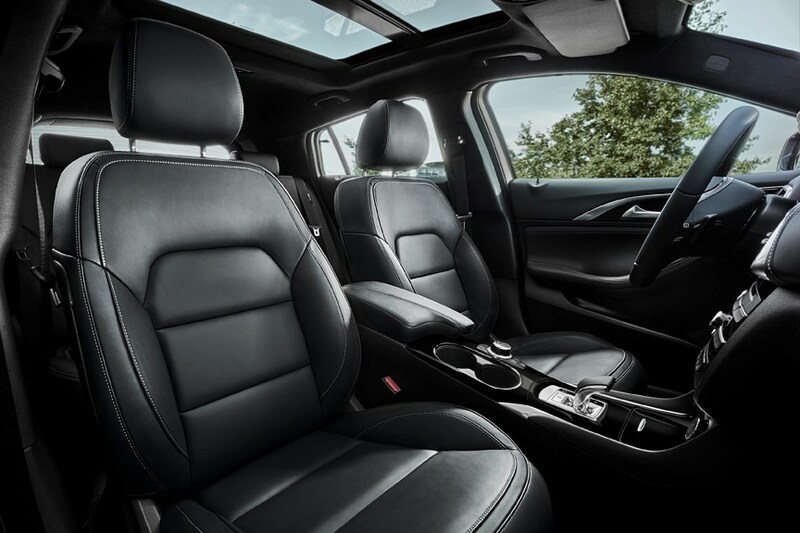 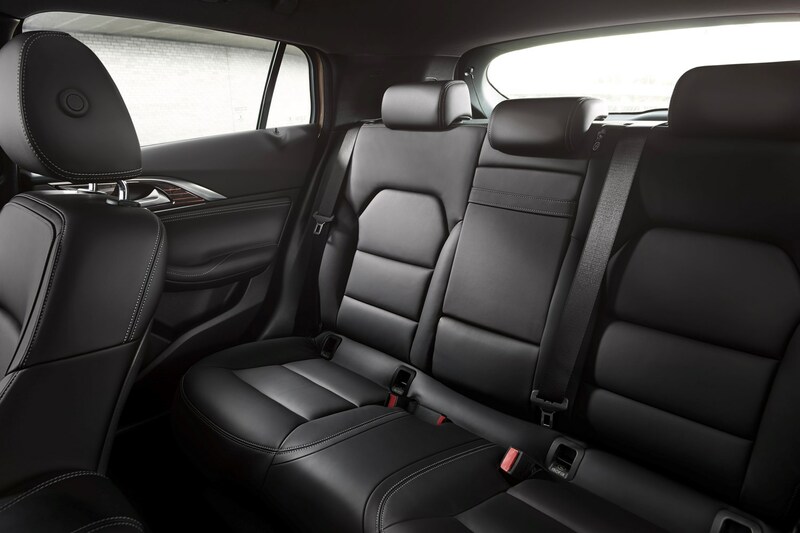 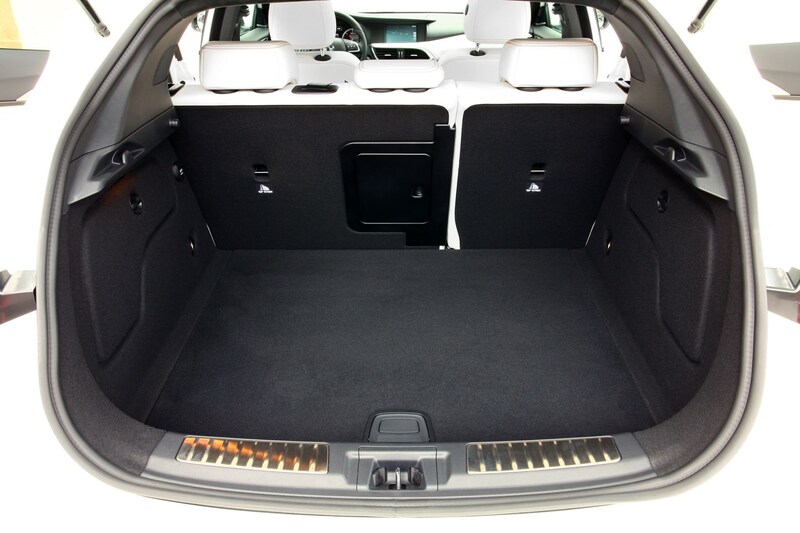 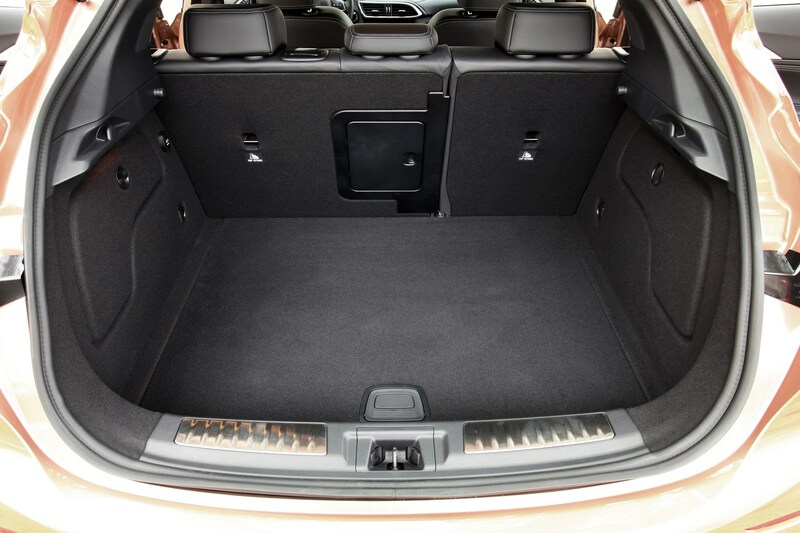 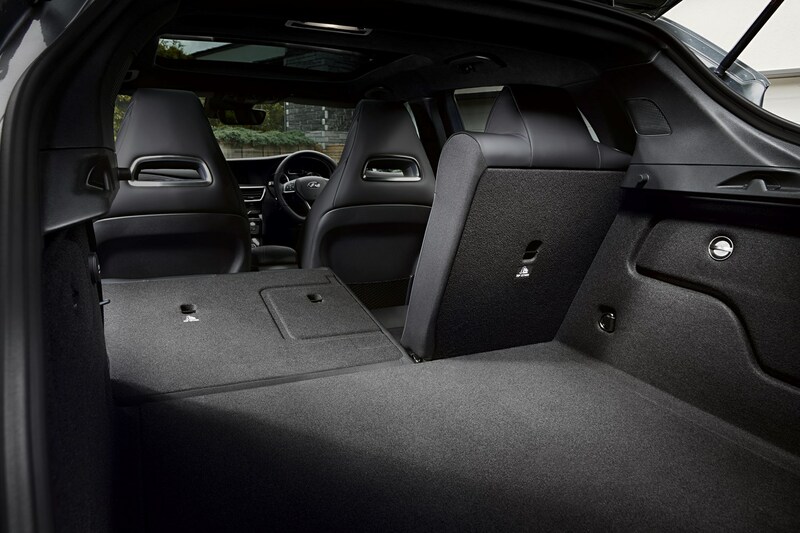 It’s a far more premium proposition, with well-appointed trim levels and an interior designed to please as well as it performs. 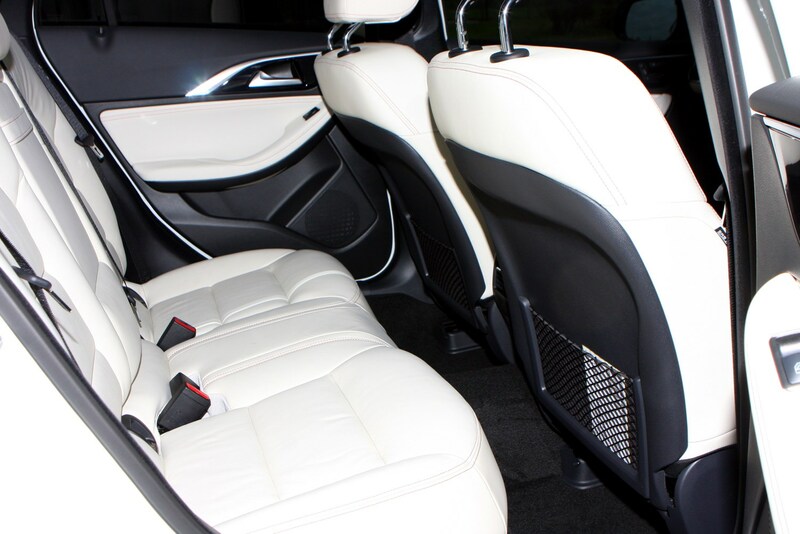 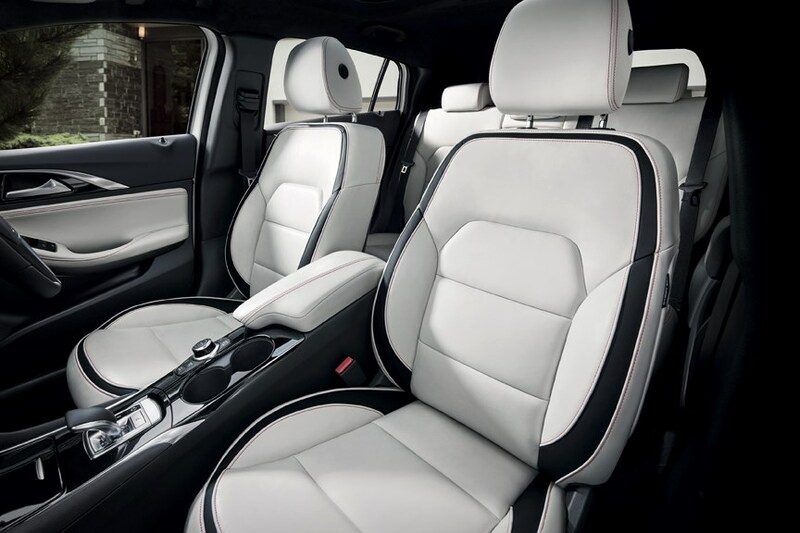 The seats are very comfortable, the cabin’s finish is plush and uses quality materials – on one engine there’s even a noise-cancellation system to drown out a diesel engine’s din. 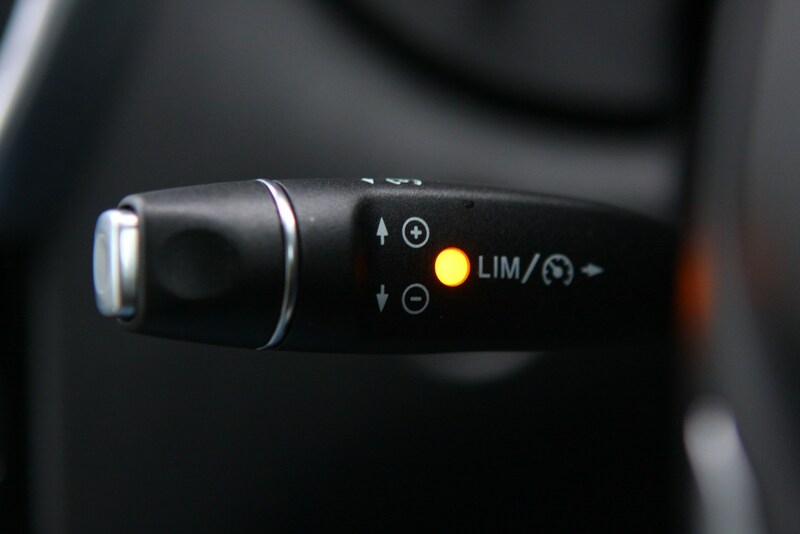 So should you or shouldn’t you? 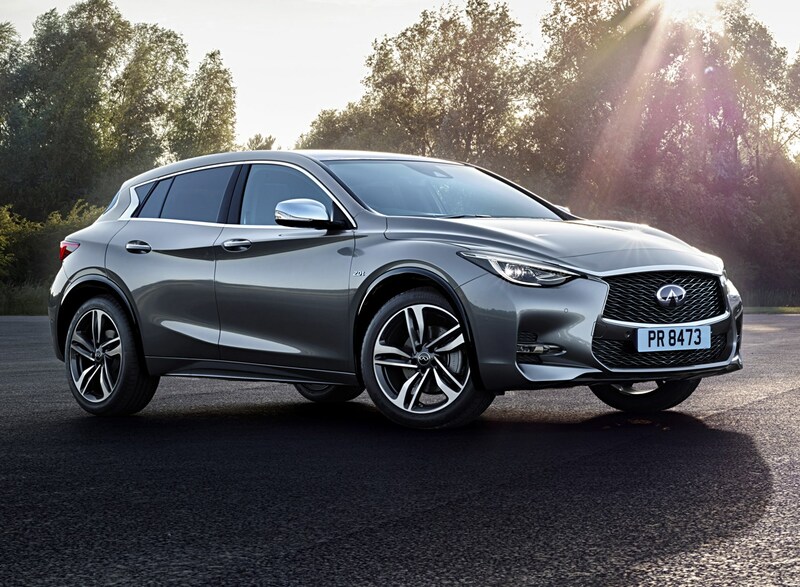 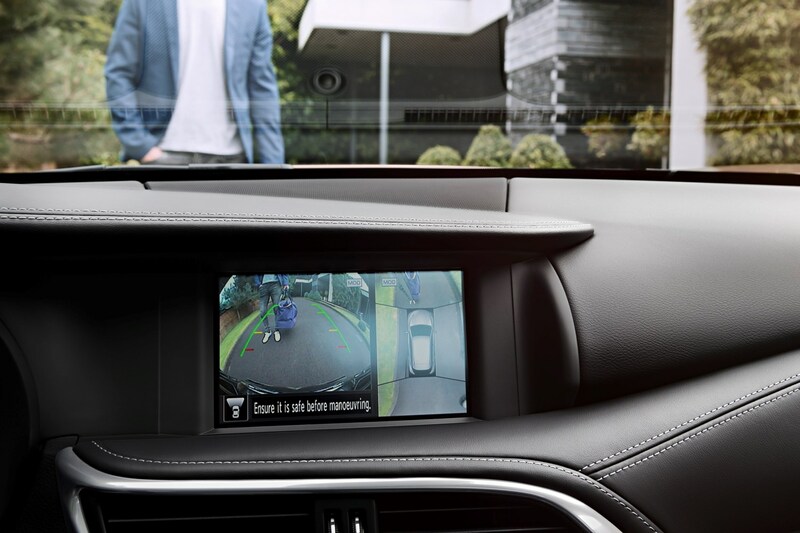 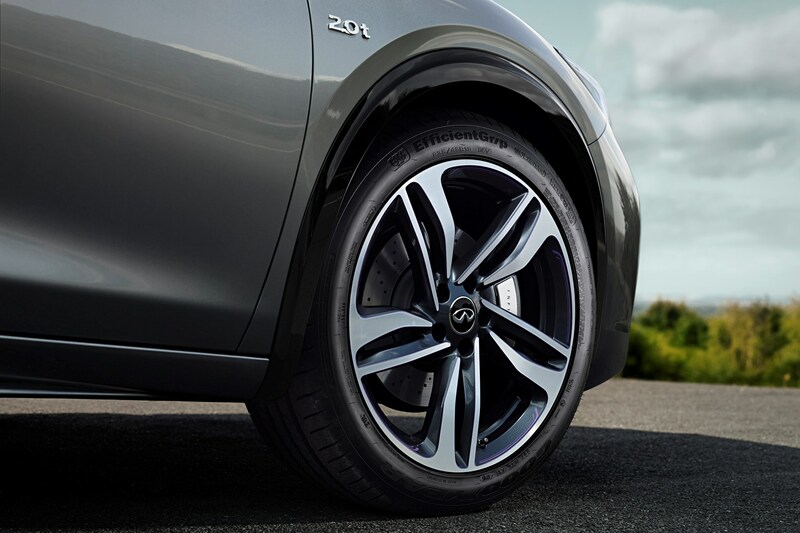 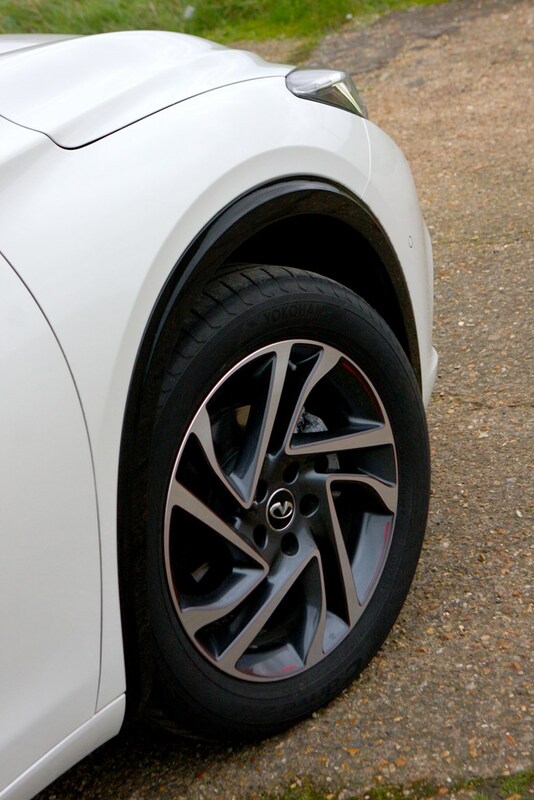 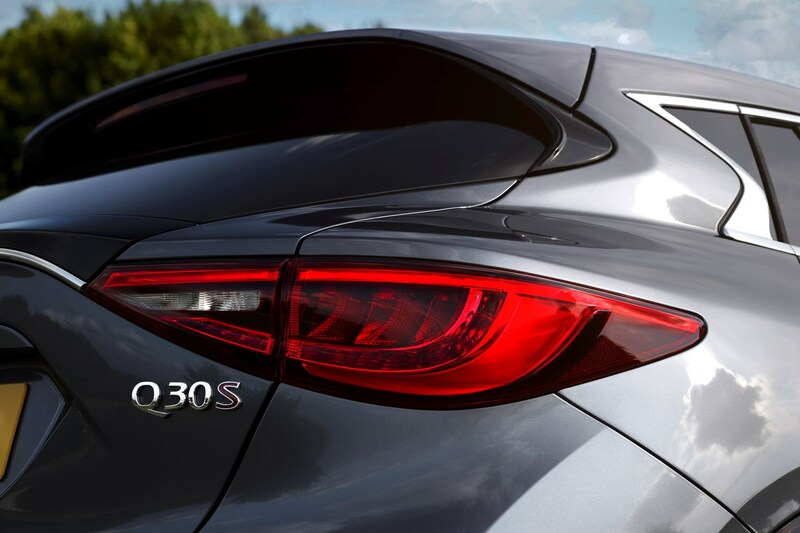 We can think of one reason why not – the firm’s only got 12 dealerships in the whole of the UK – but if that isn’t a problem for you then the Infiniti Q30 is definitely worthy of consideration at the very least. 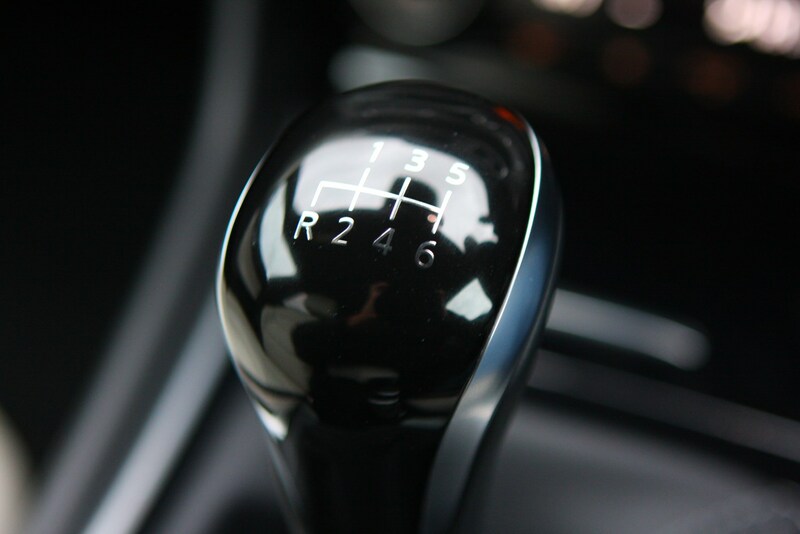 It’s something a little different without sacrificing anything vital. 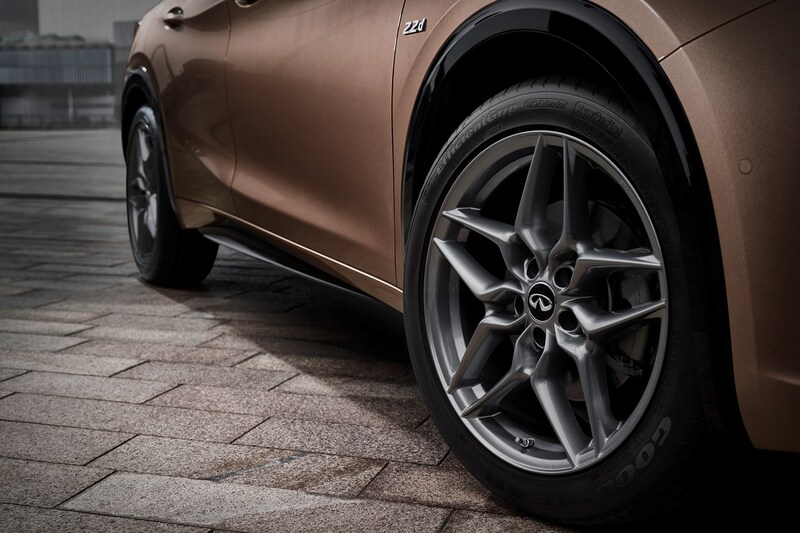 A difficult trick to pull off.